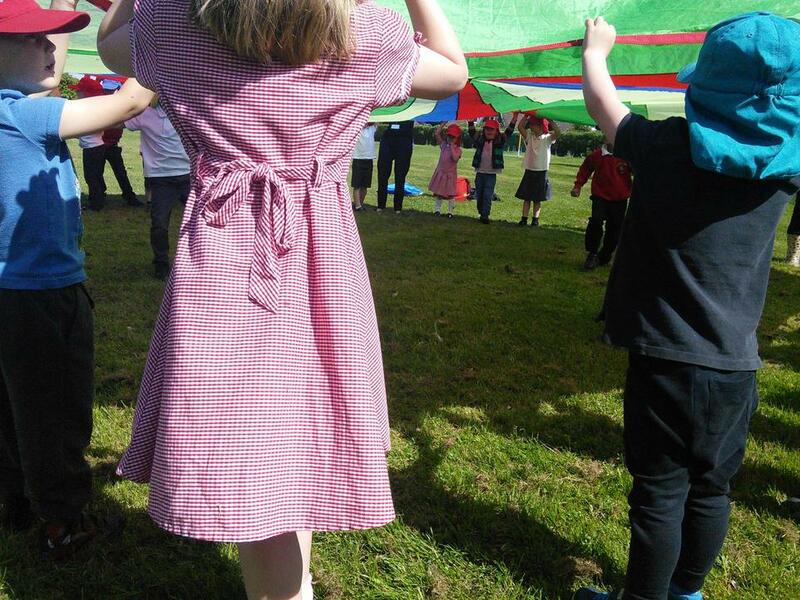 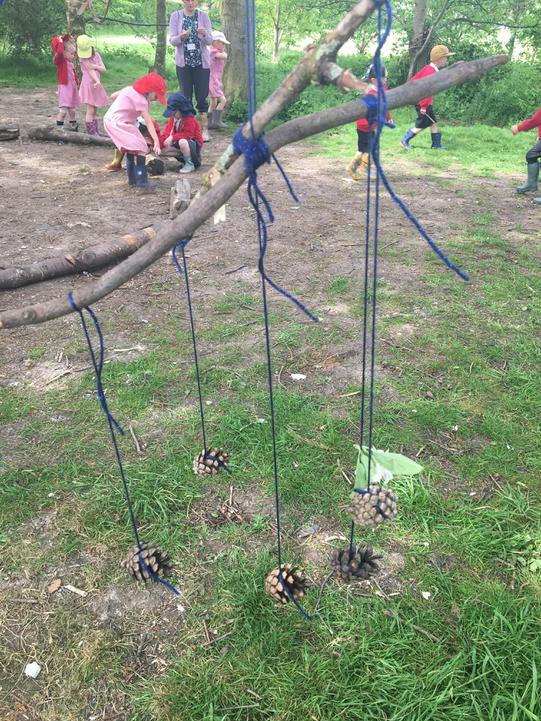 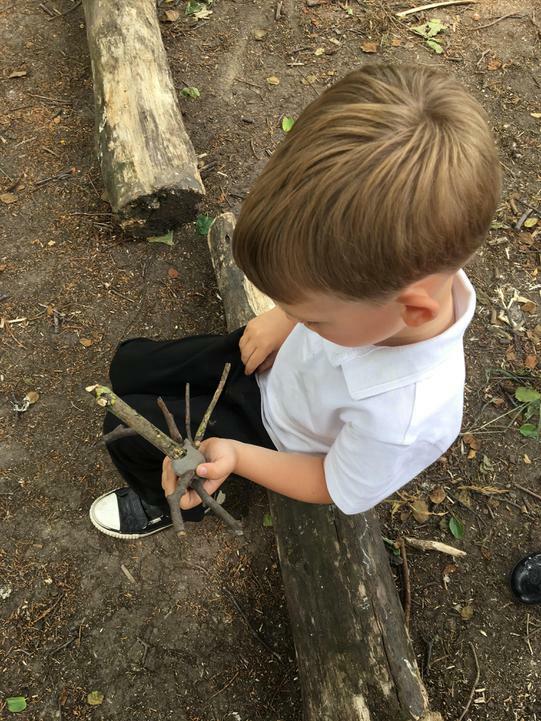 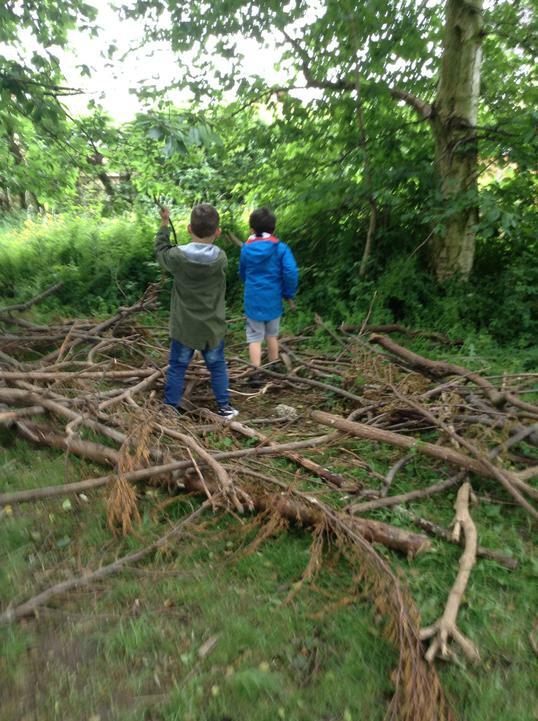 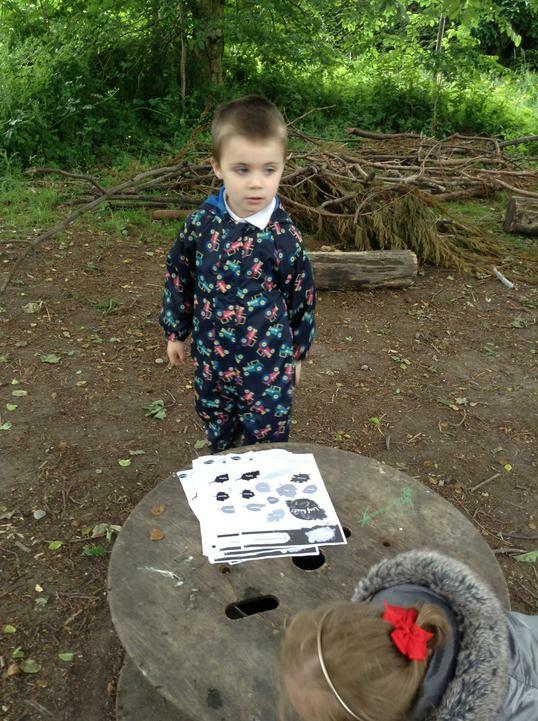 Today we enjoyed collecting things from the forest to make a woodland mobile with. 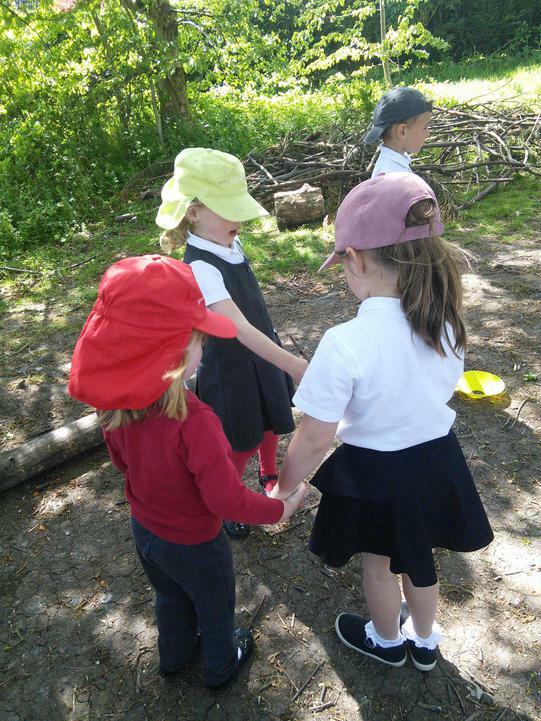 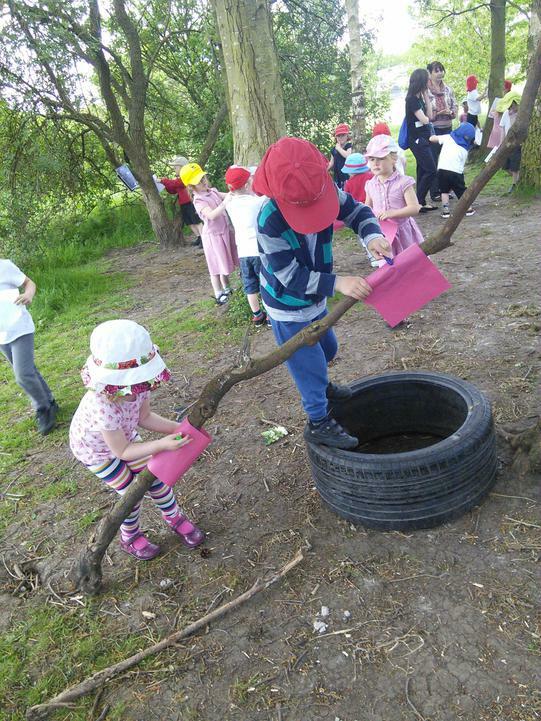 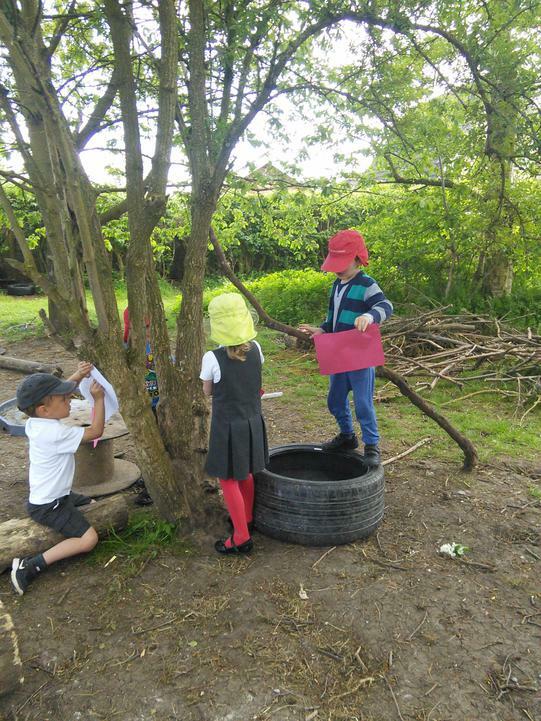 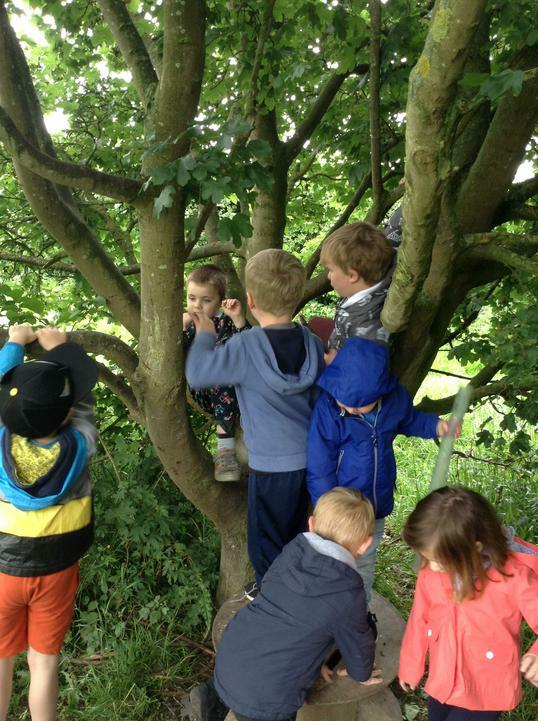 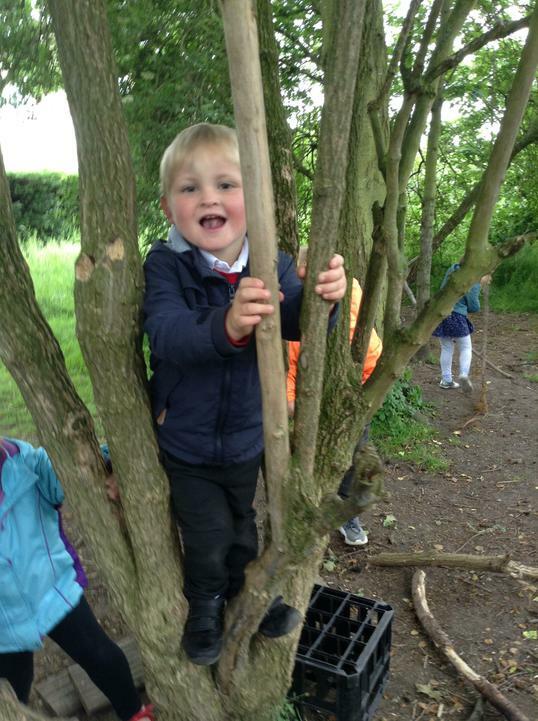 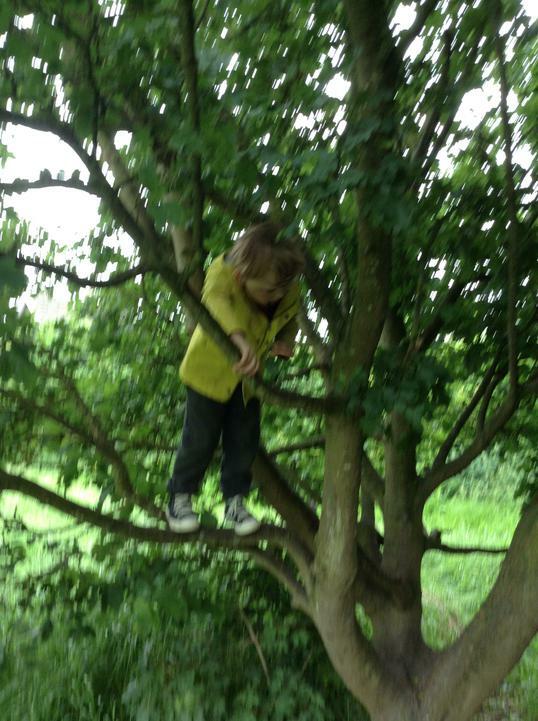 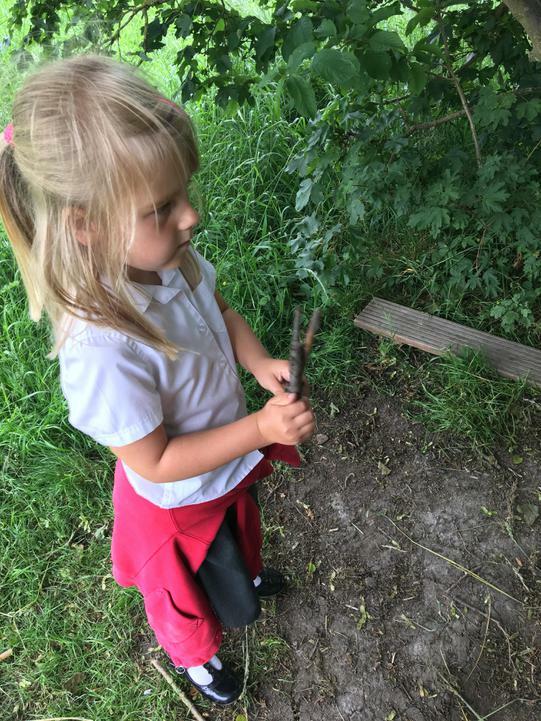 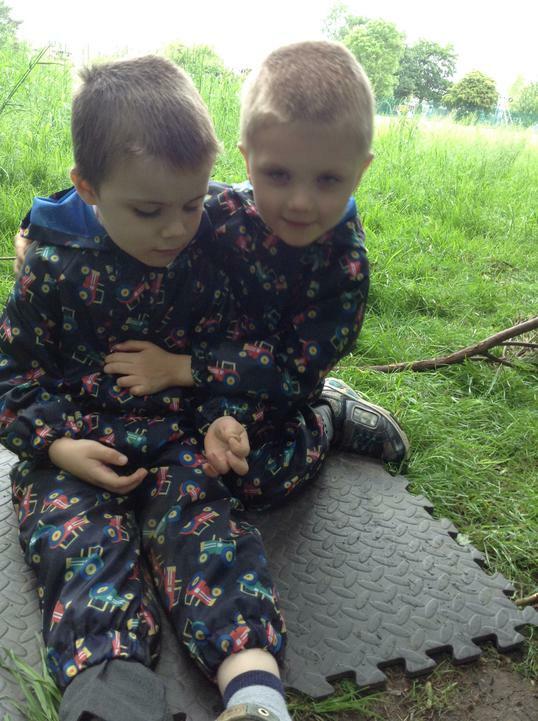 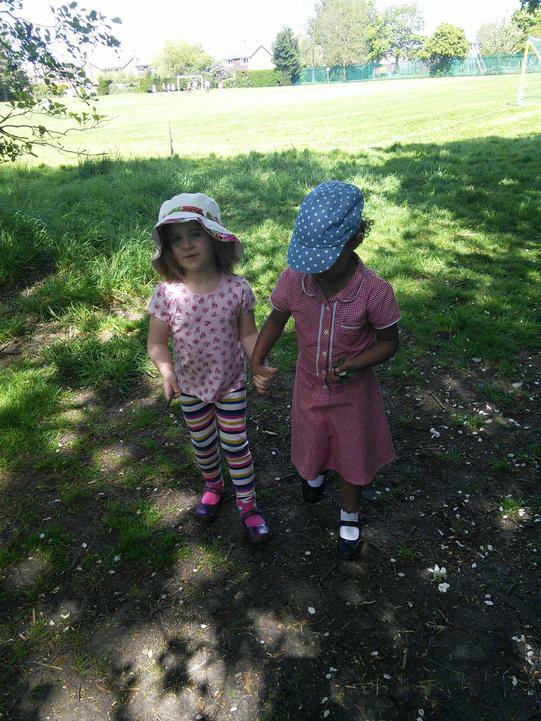 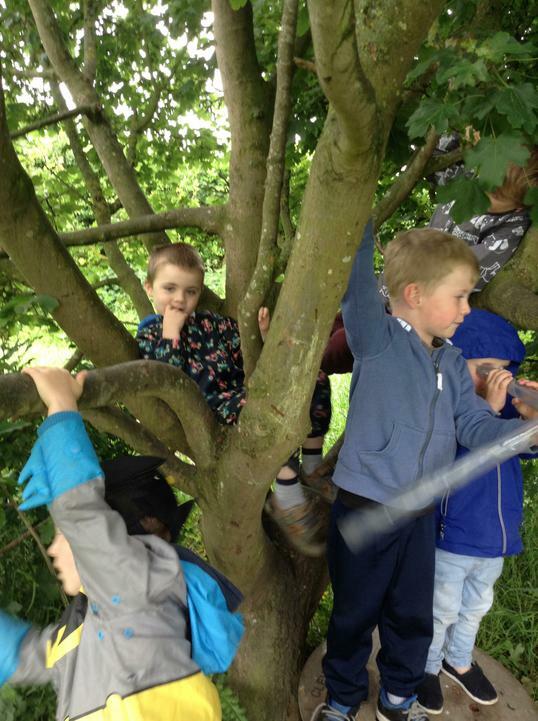 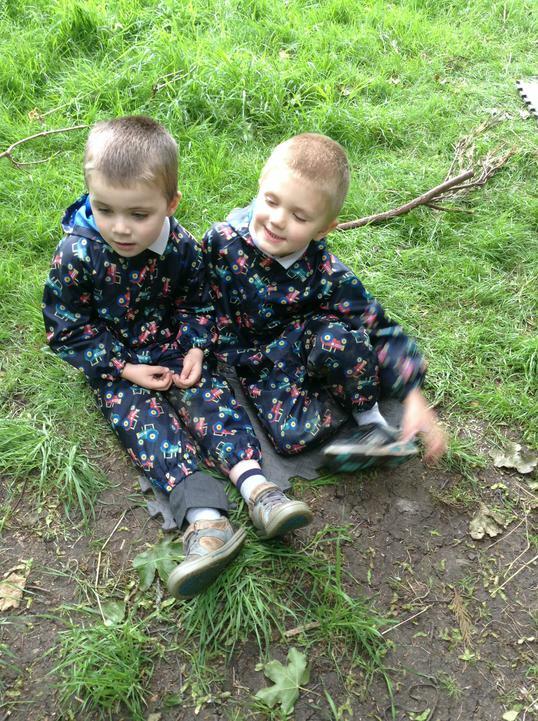 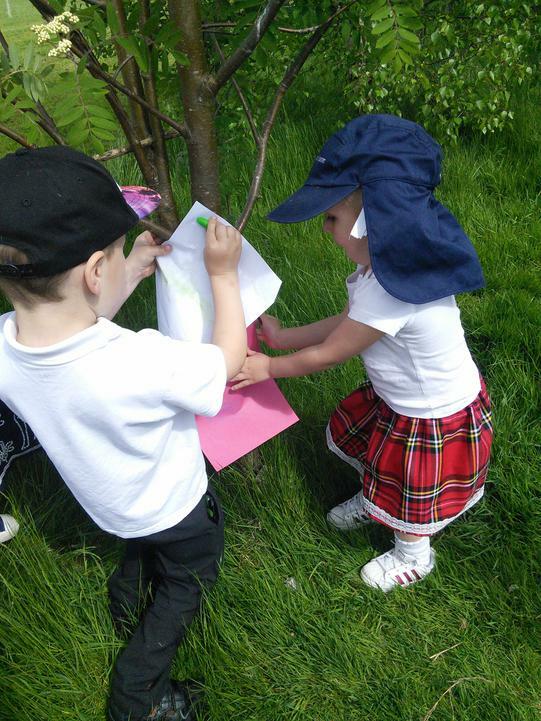 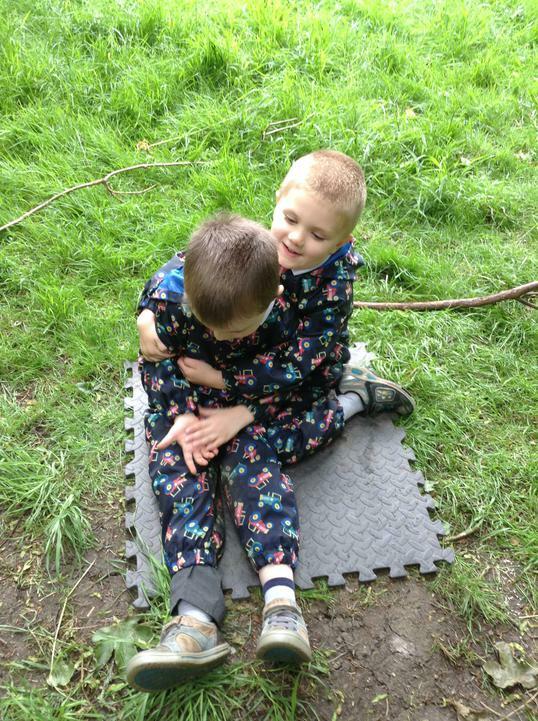 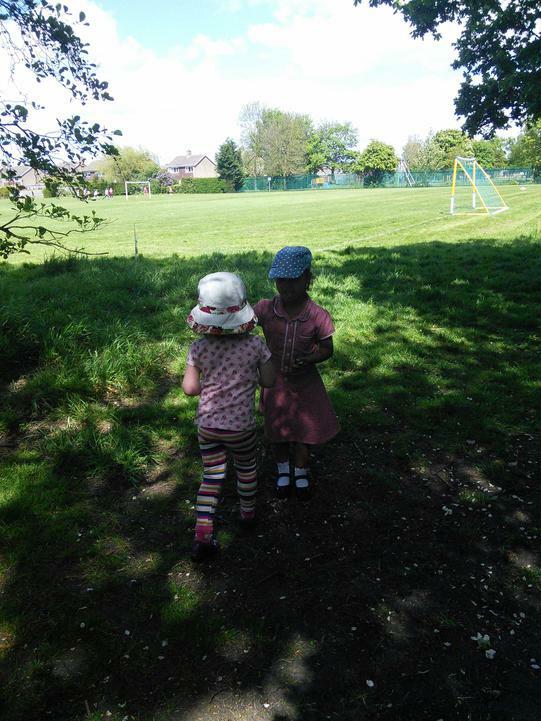 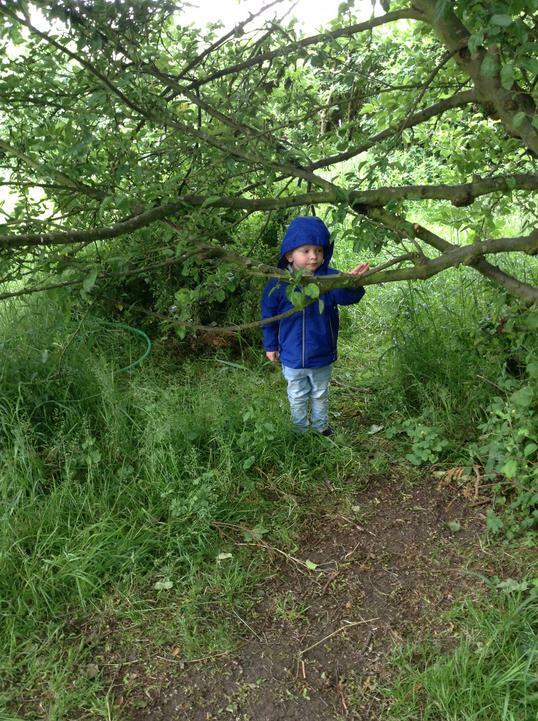 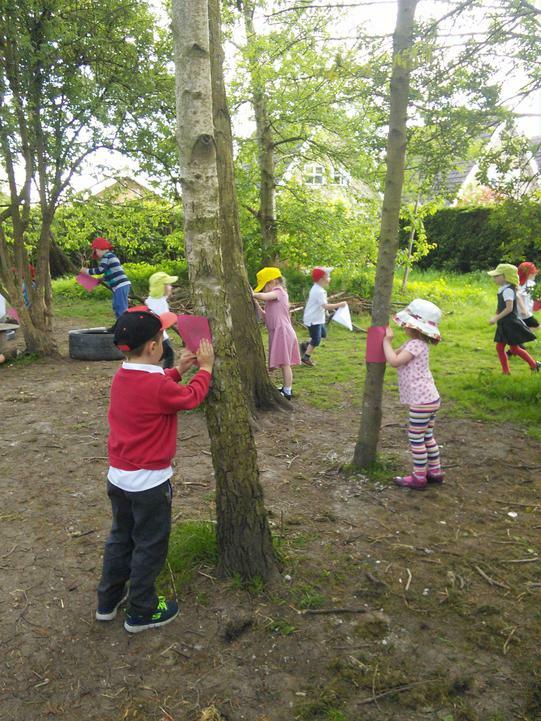 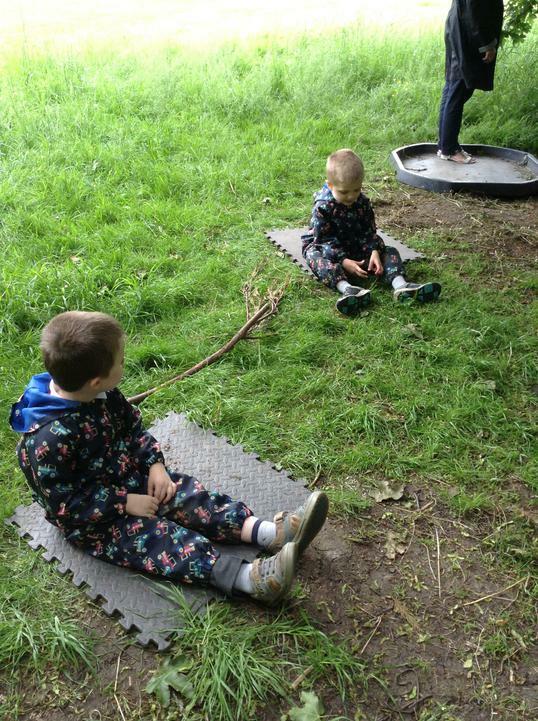 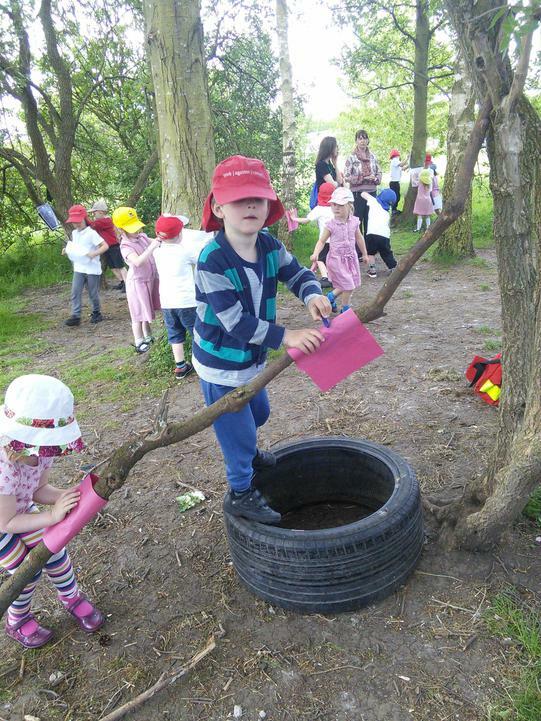 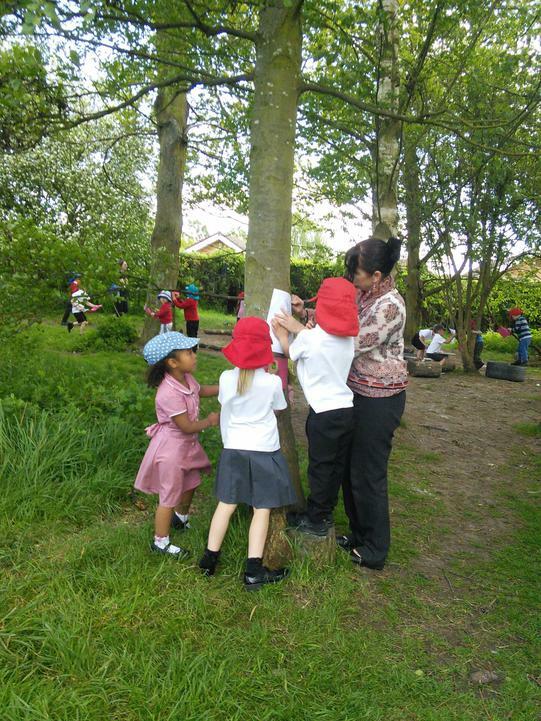 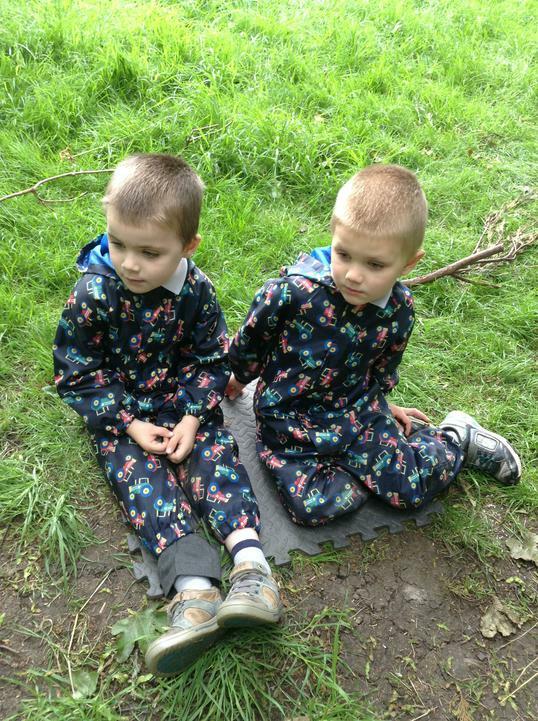 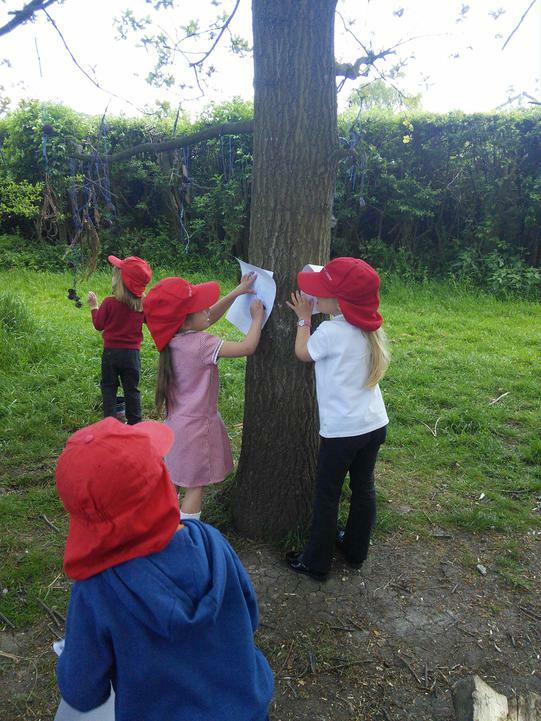 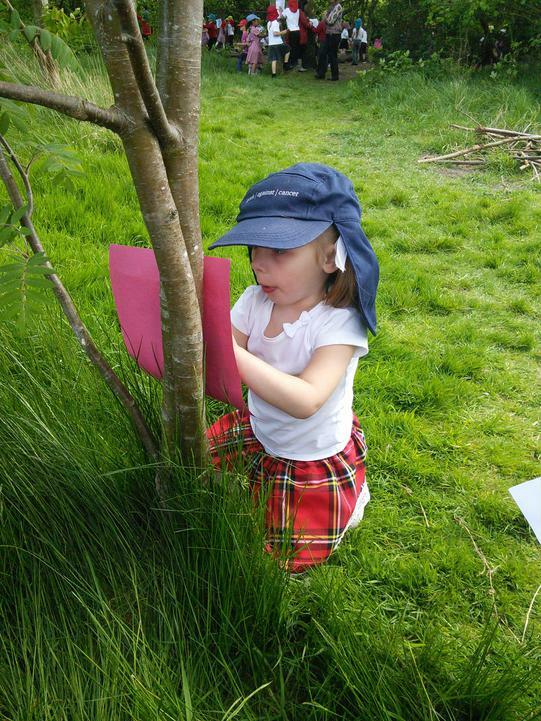 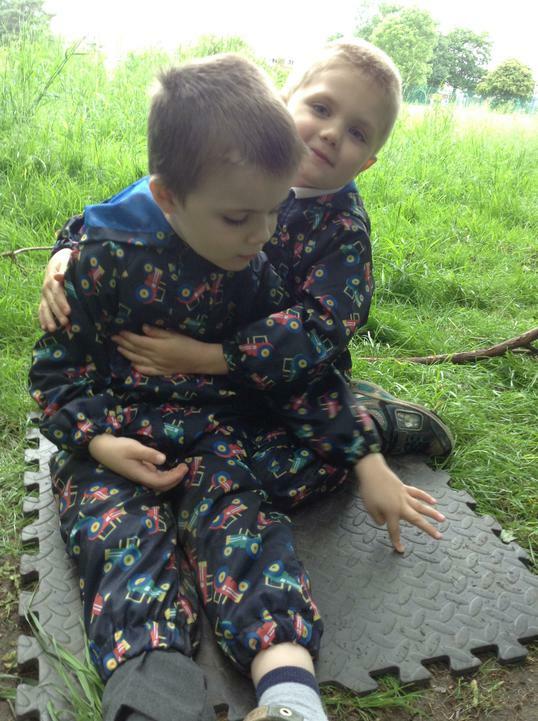 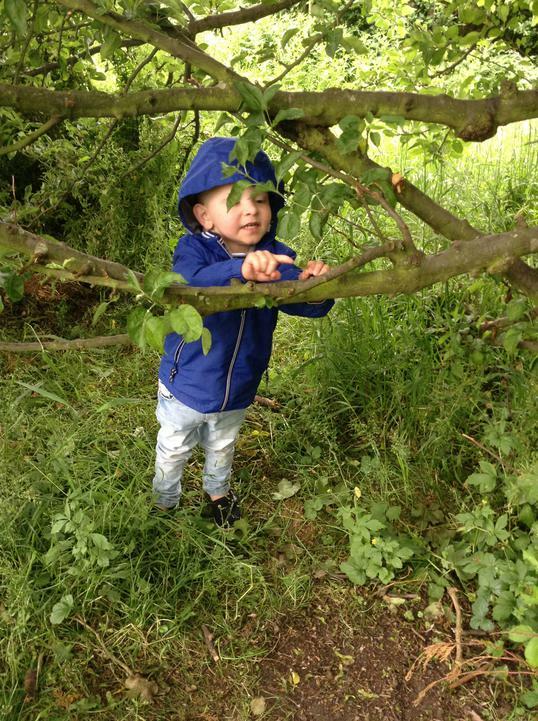 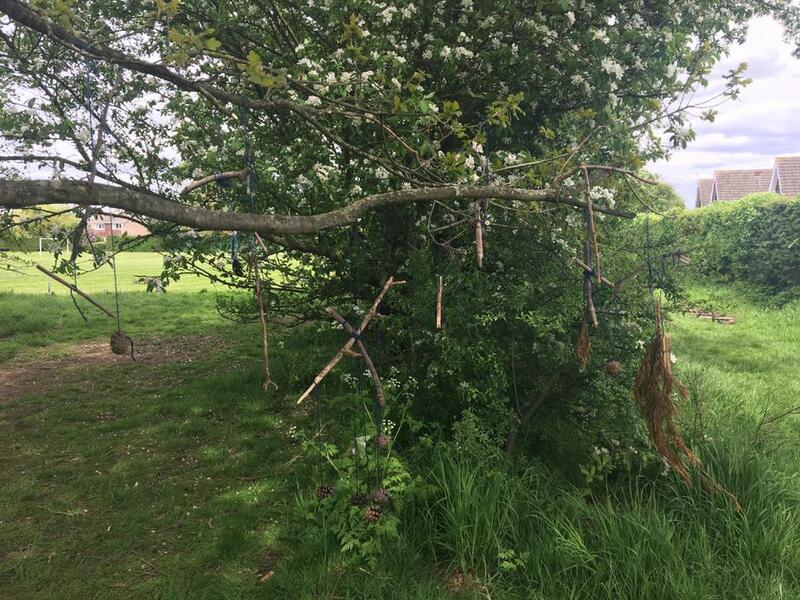 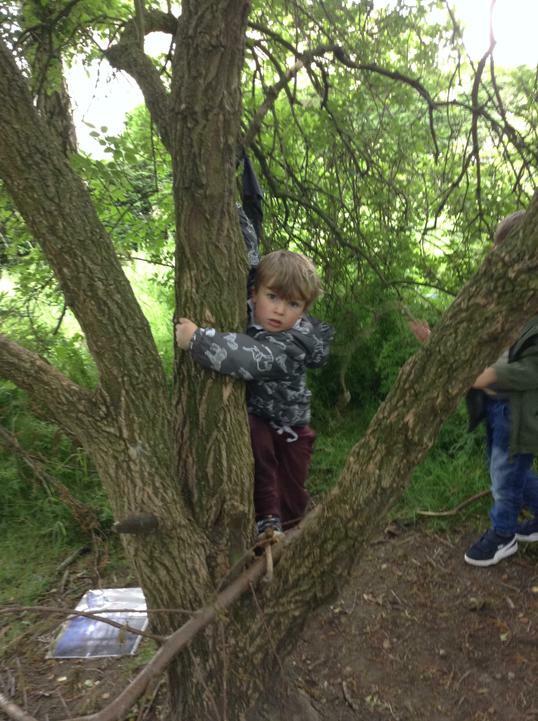 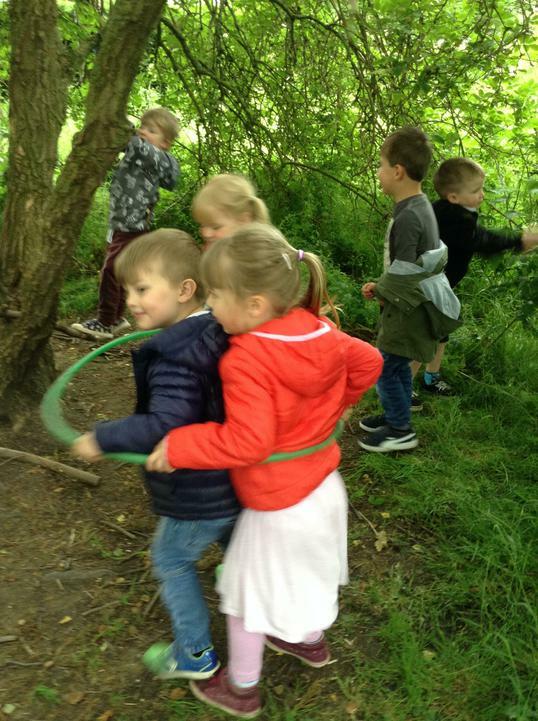 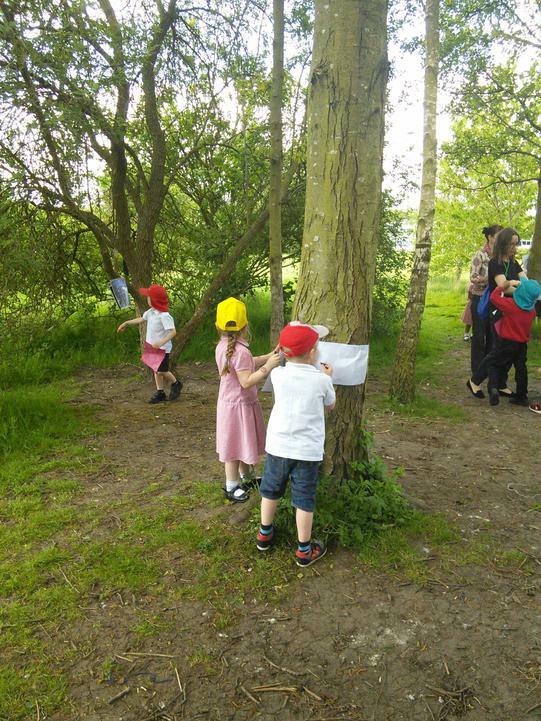 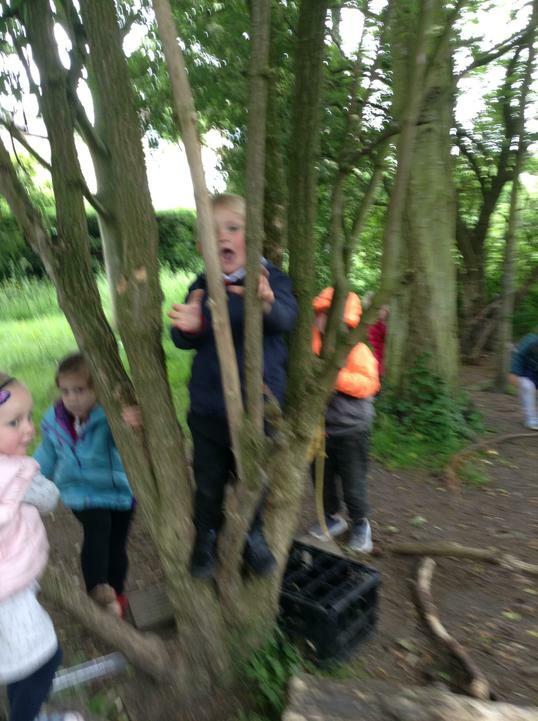 We helped each other to tie our things onto our stick and then found a special place to hang them in the tress. 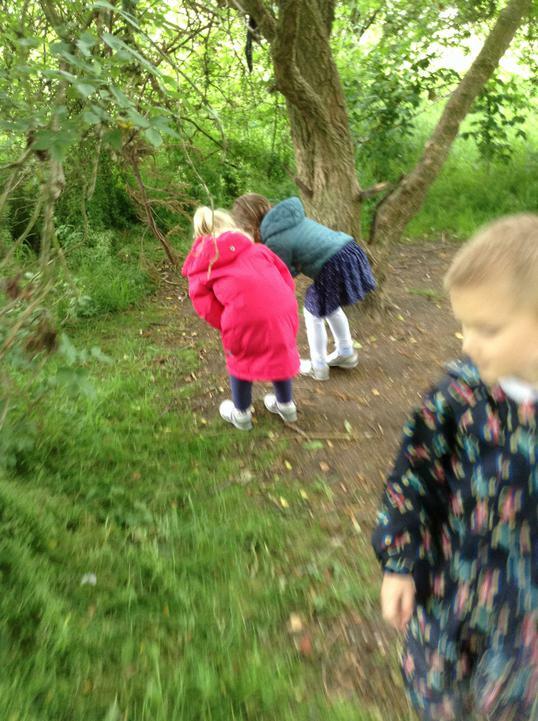 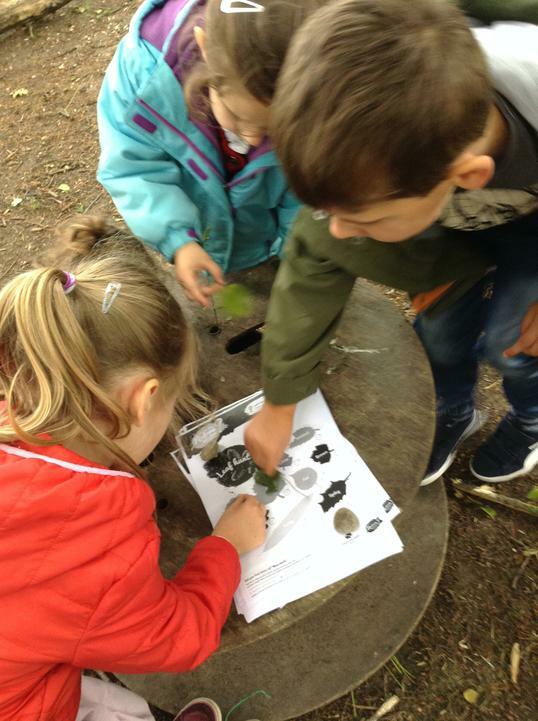 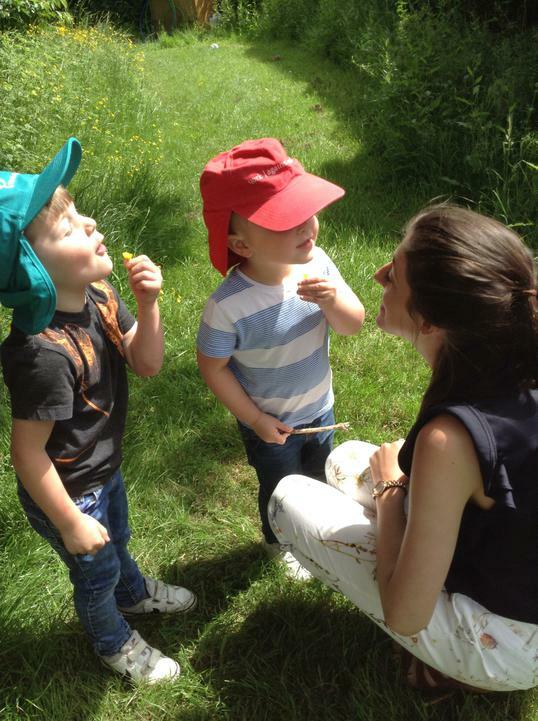 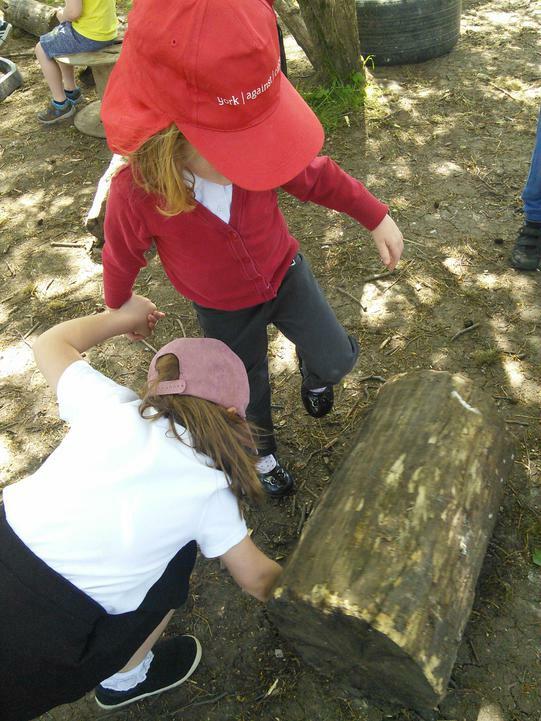 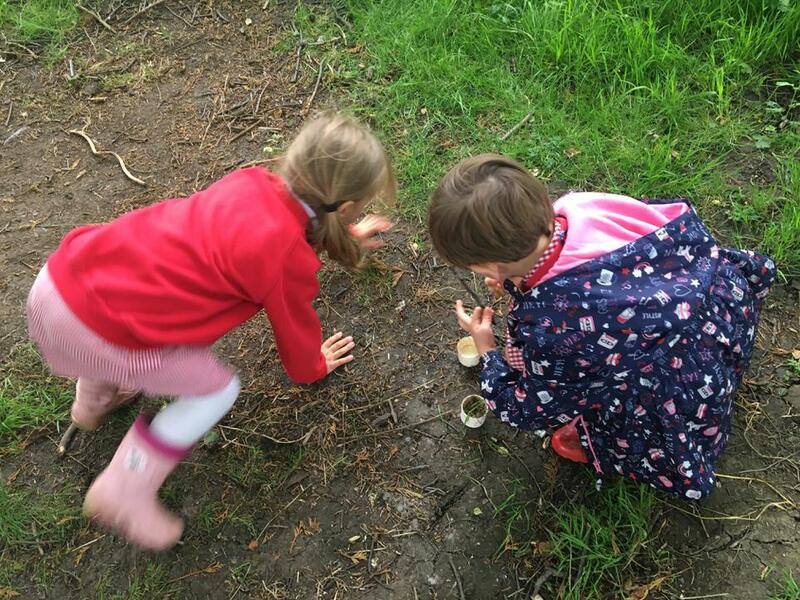 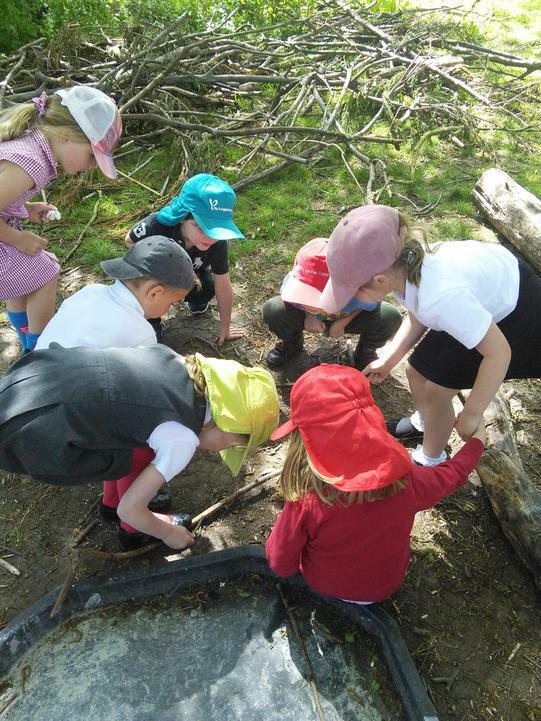 We have been hunting for mini-beasts at the forest today. 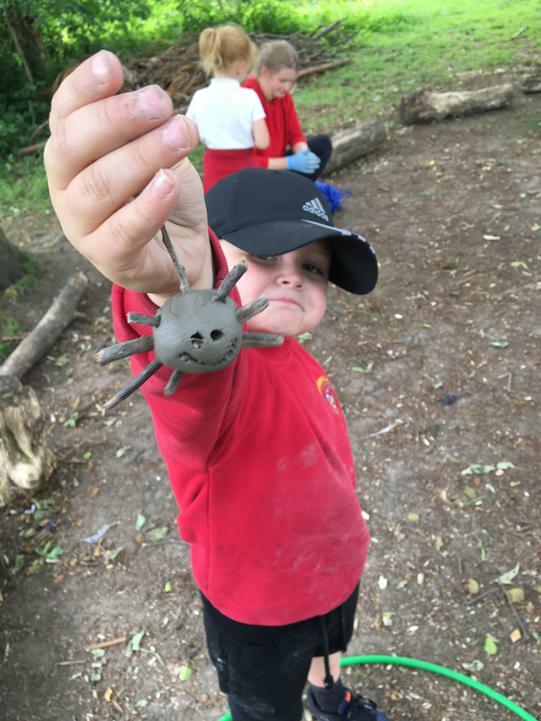 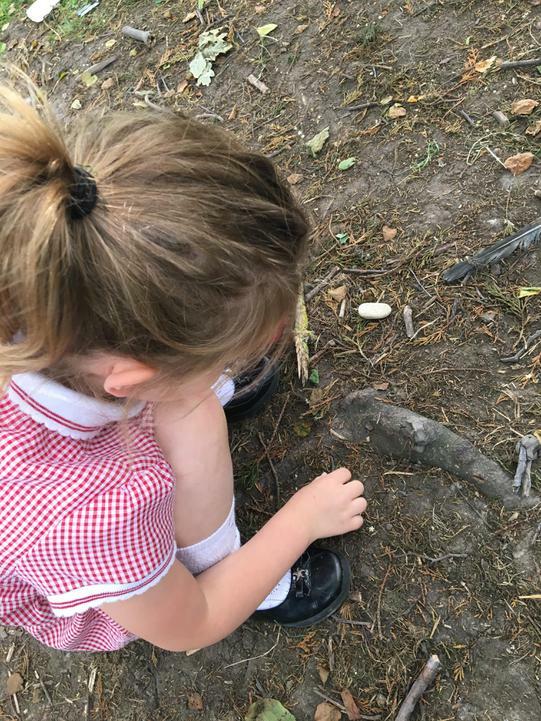 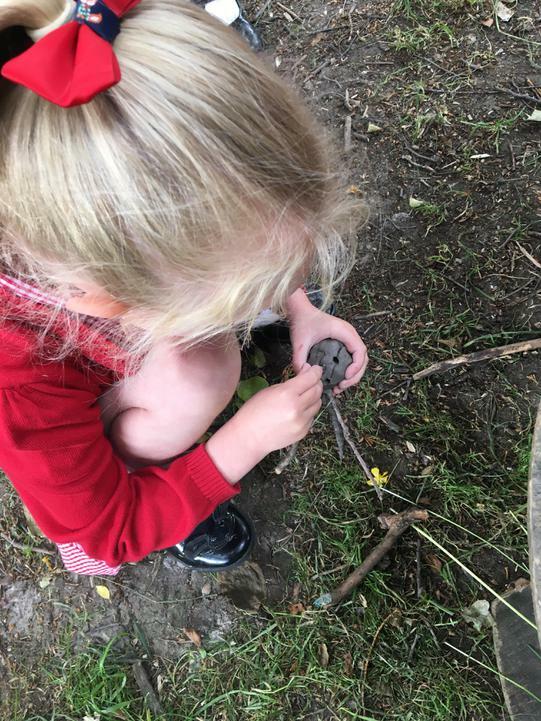 We looked at them carefully and then used clay and natural materials to make some of our own. 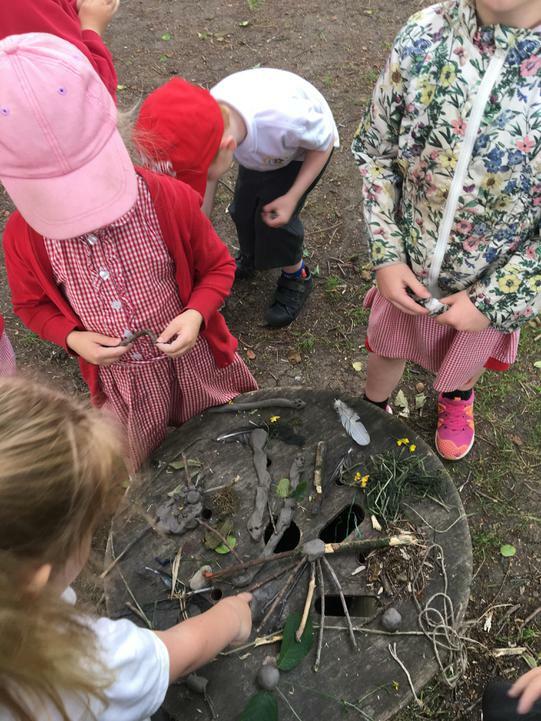 Can you guess what we have made? 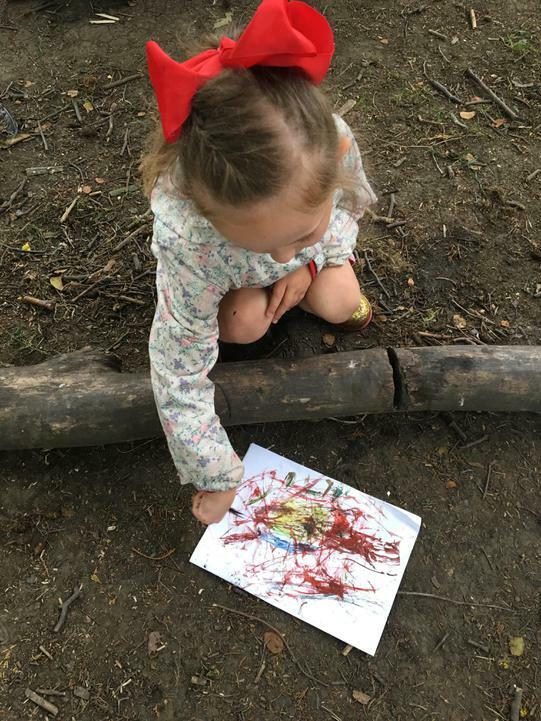 We made our own paint at the forest today. 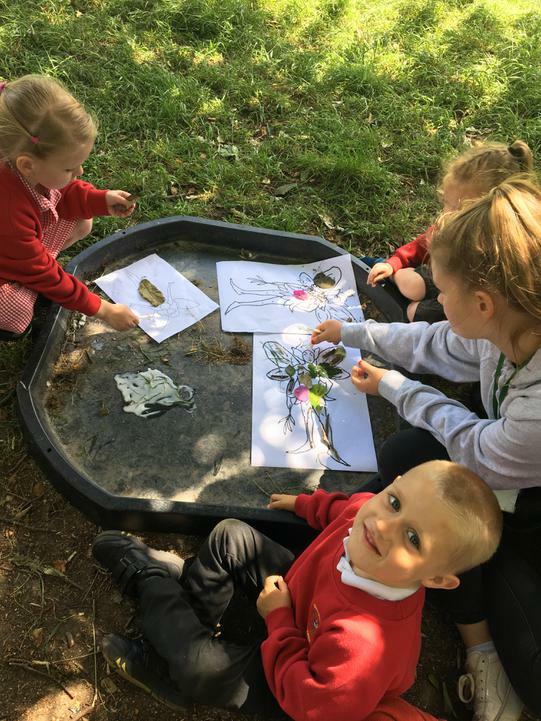 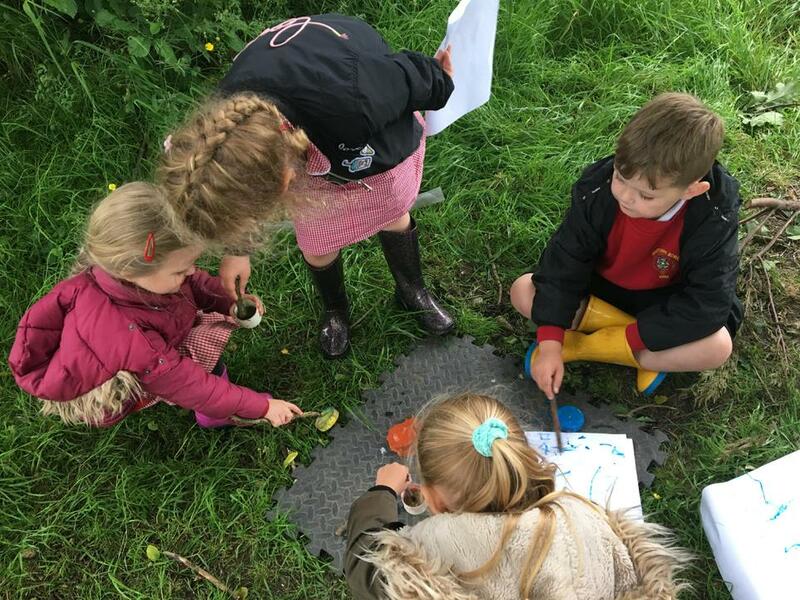 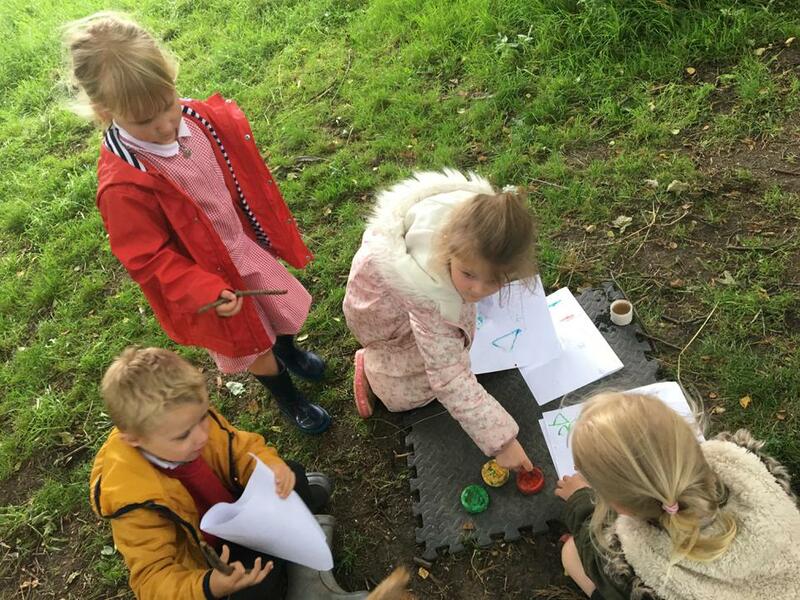 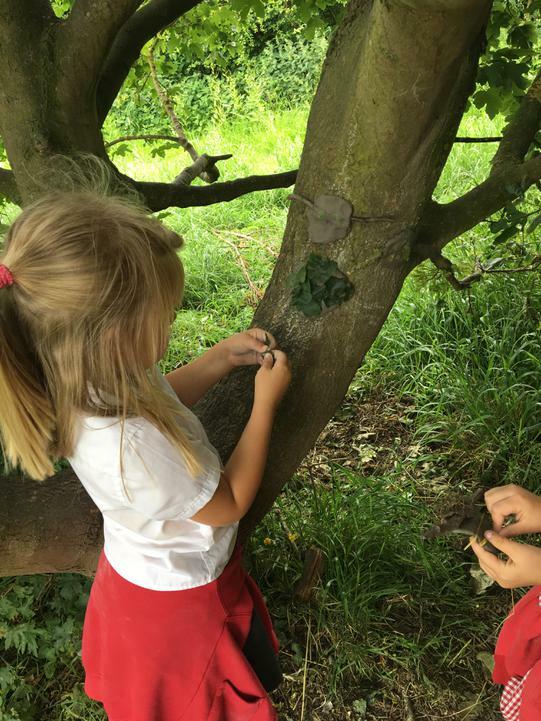 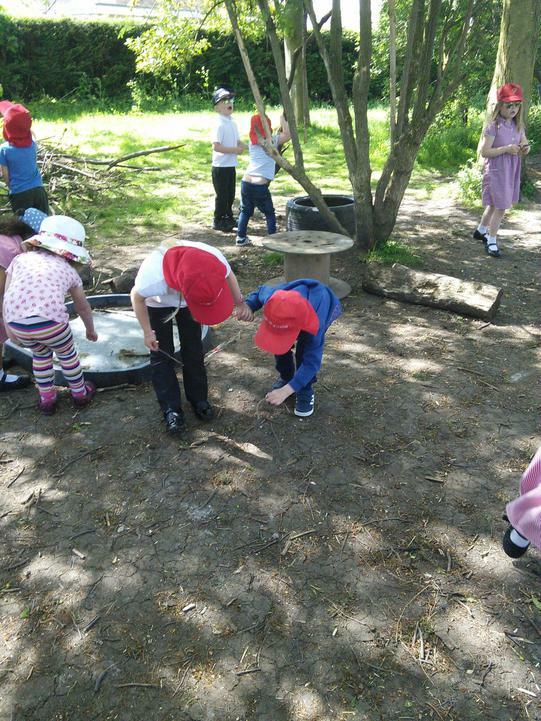 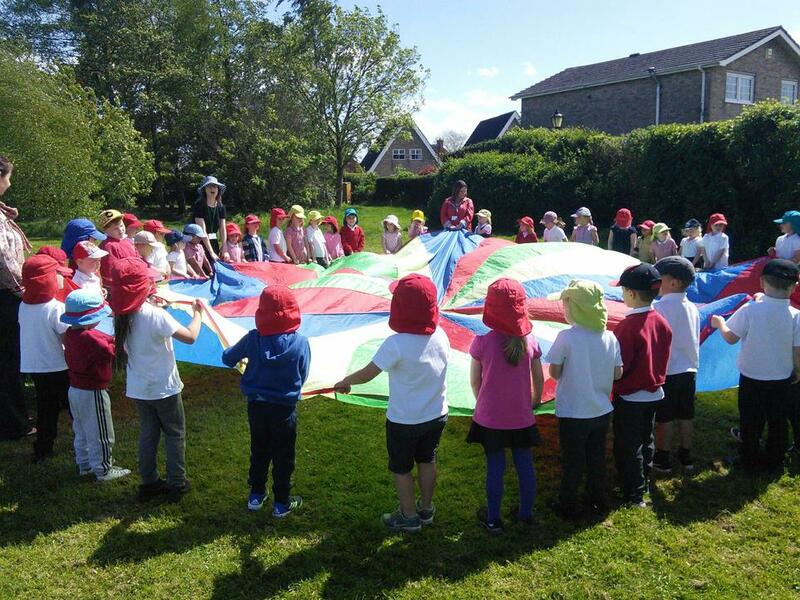 We mixed up leaves, grass, mud and other things we found to see what colours we could make. 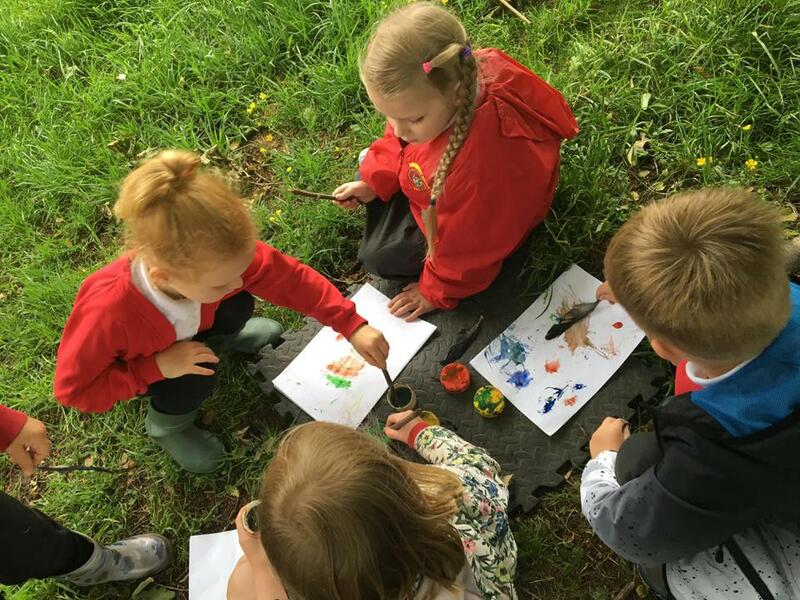 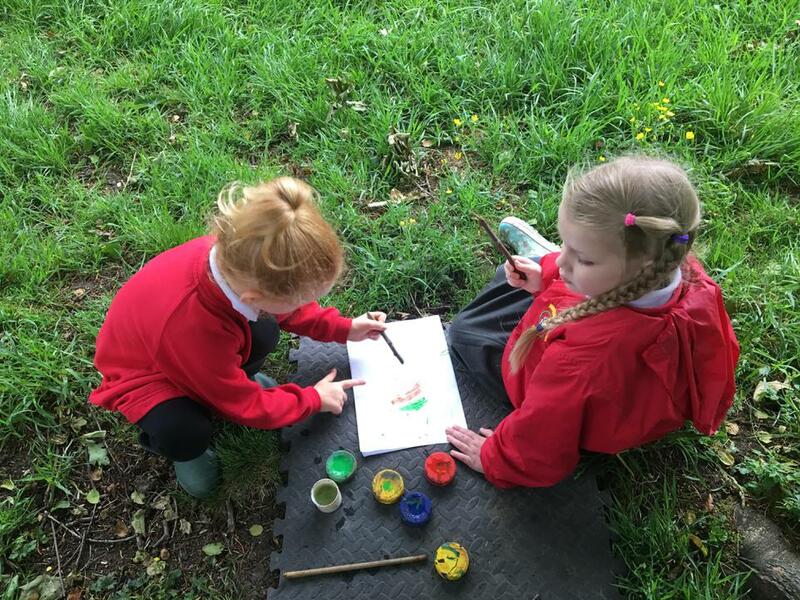 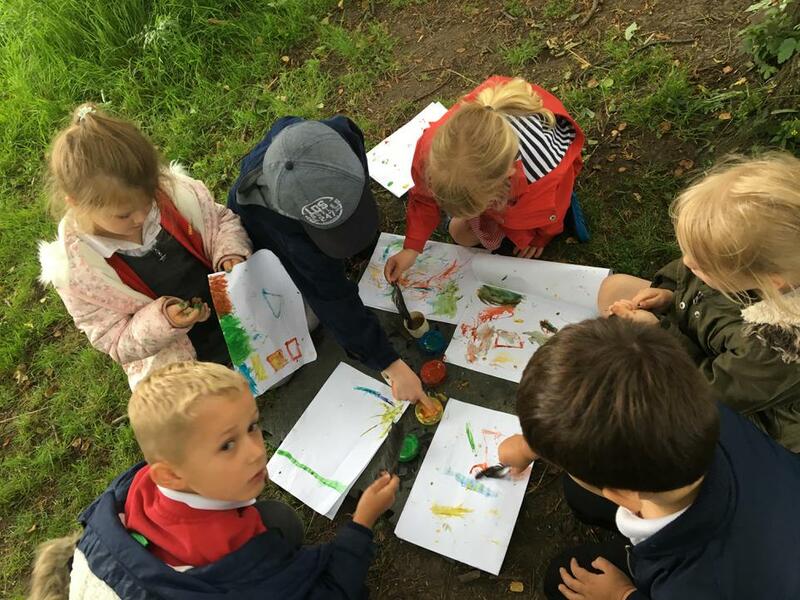 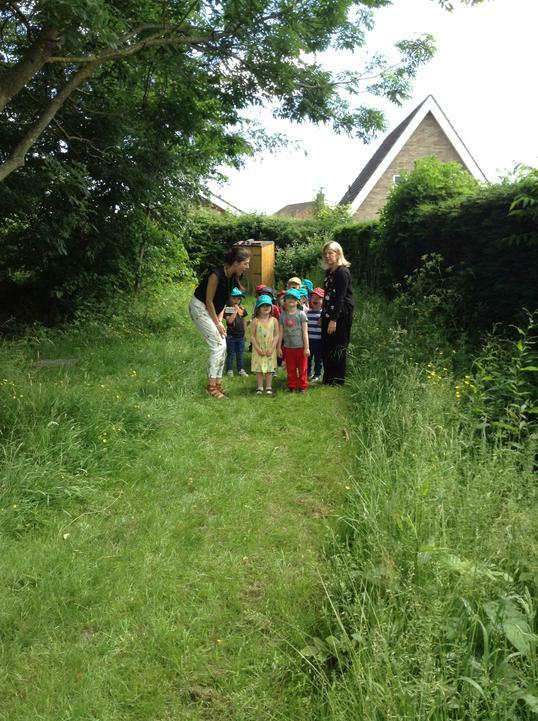 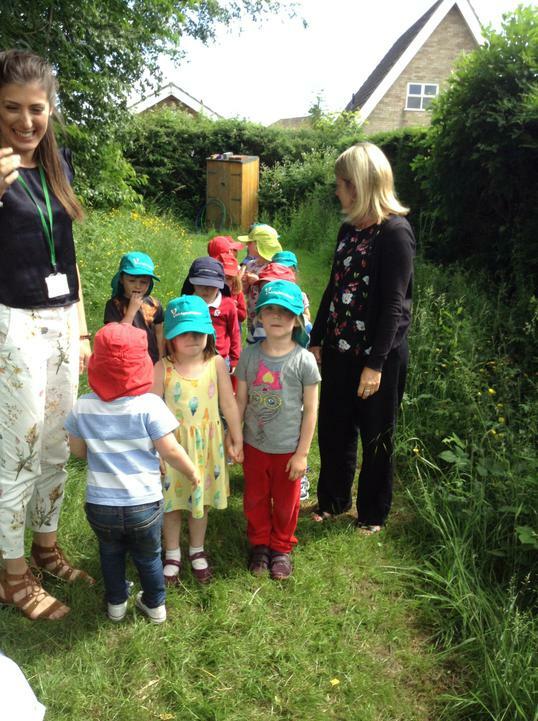 We also used some paint that Mrs Balmer brought and enjoyed painting forest pictures. 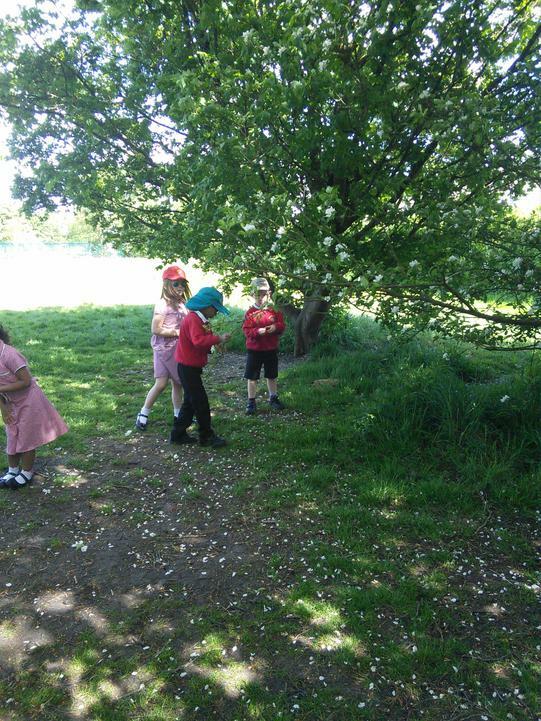 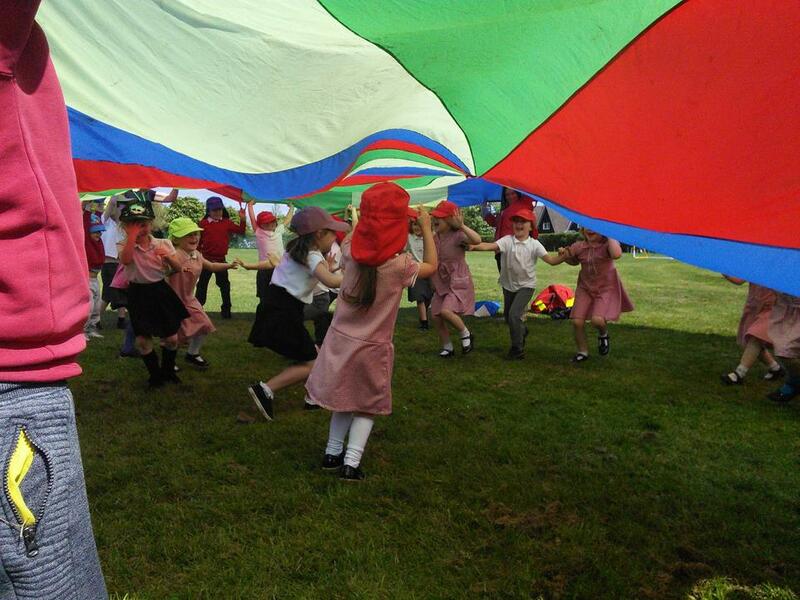 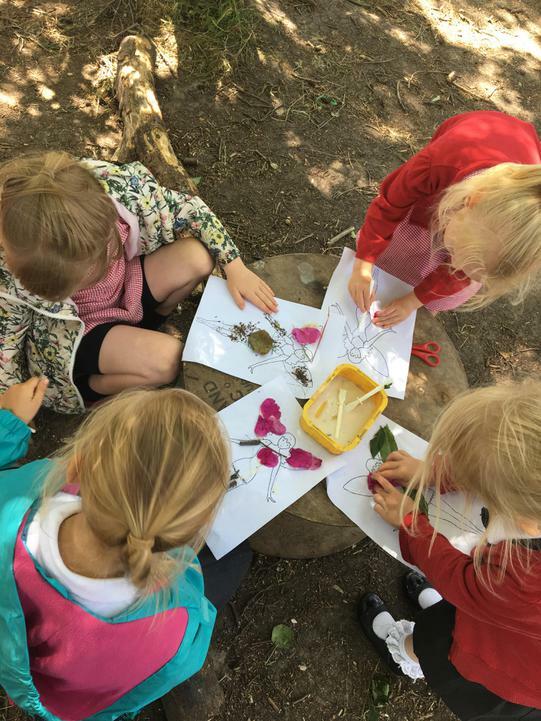 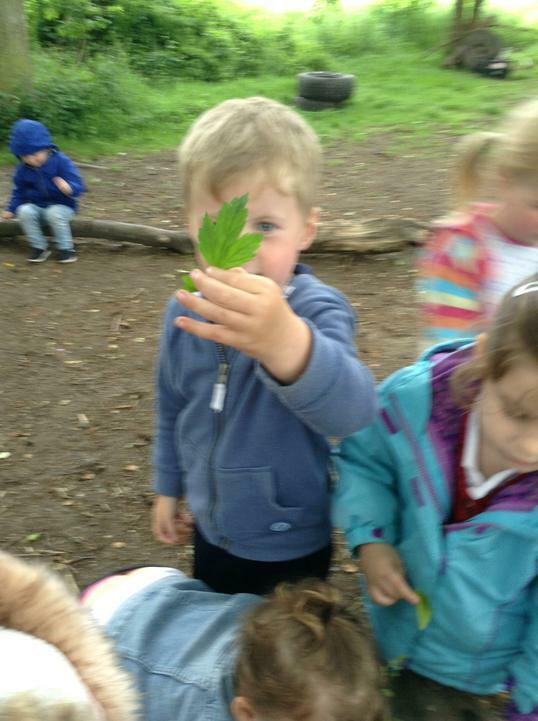 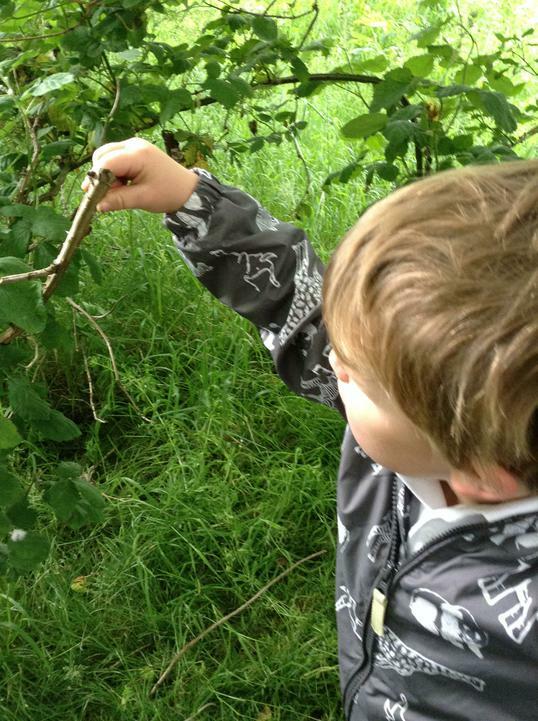 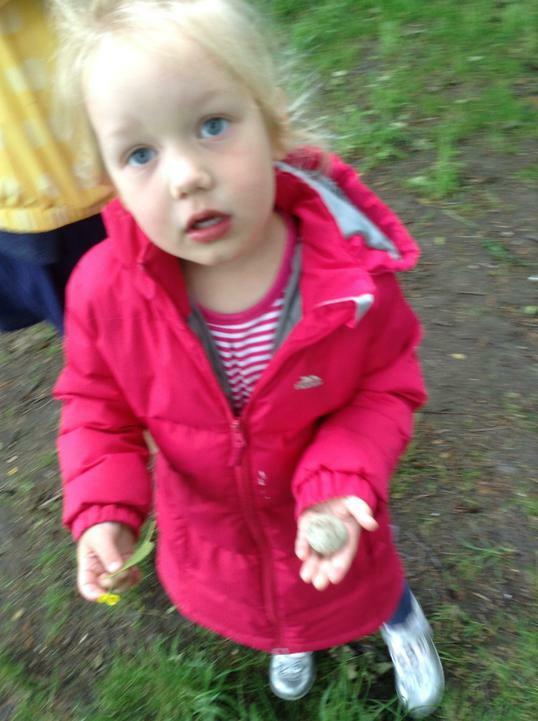 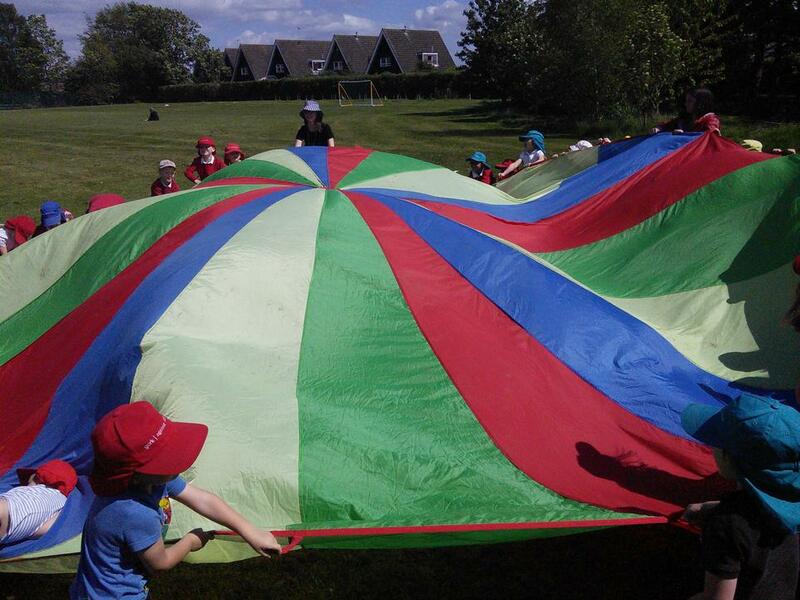 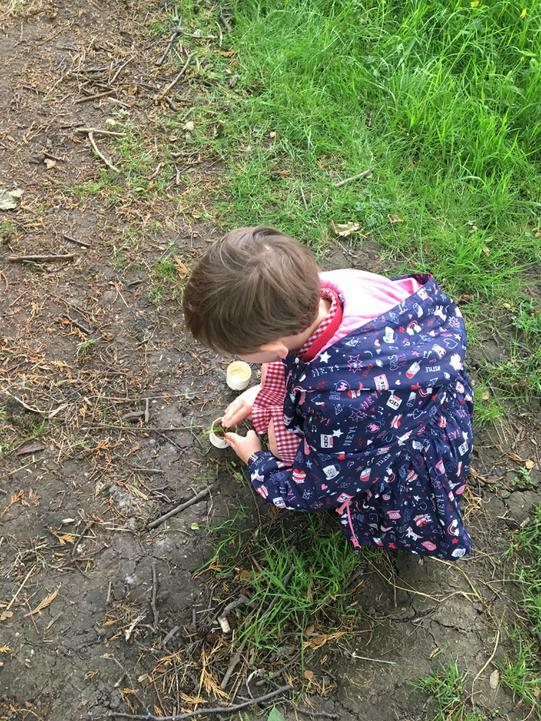 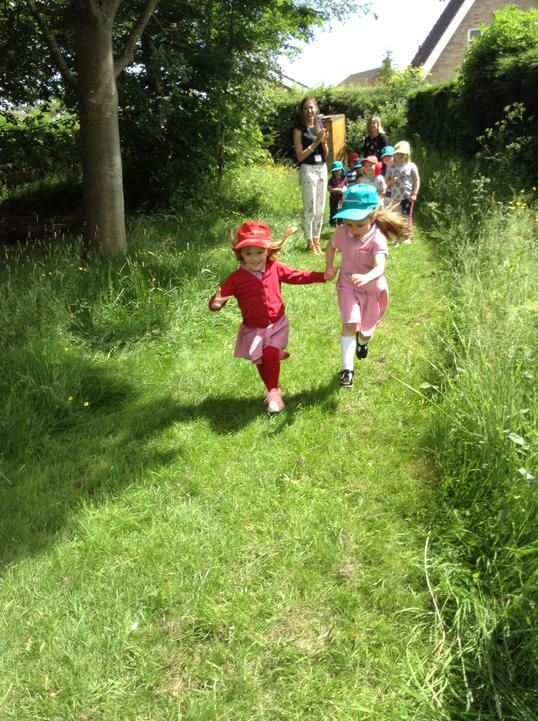 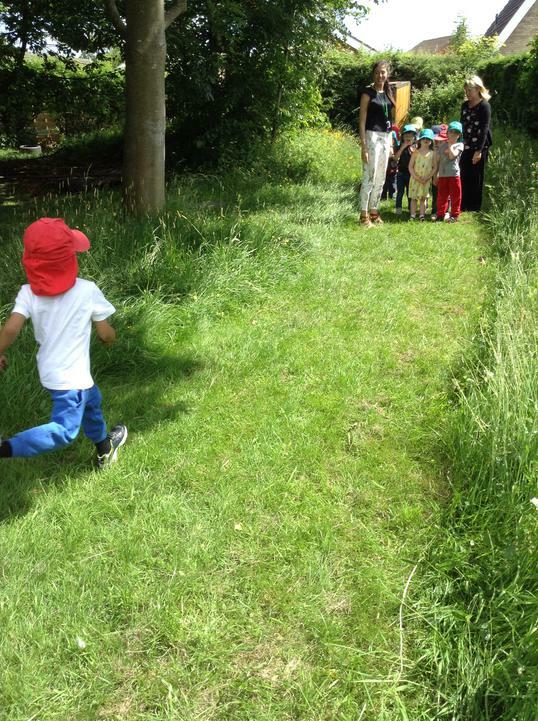 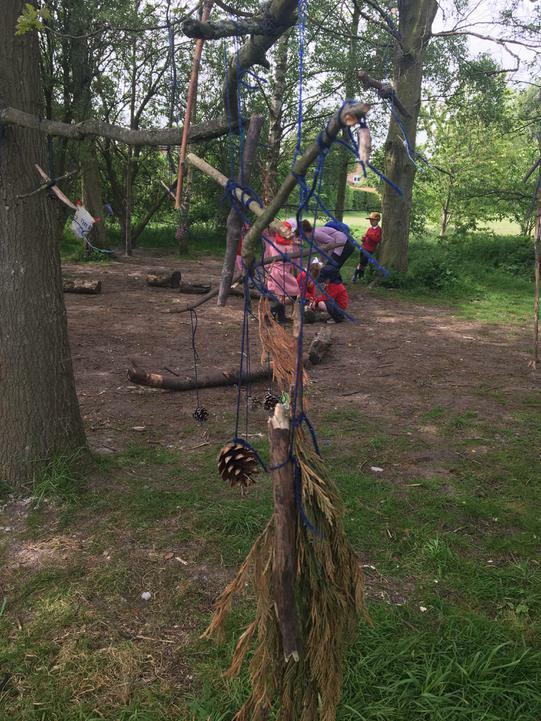 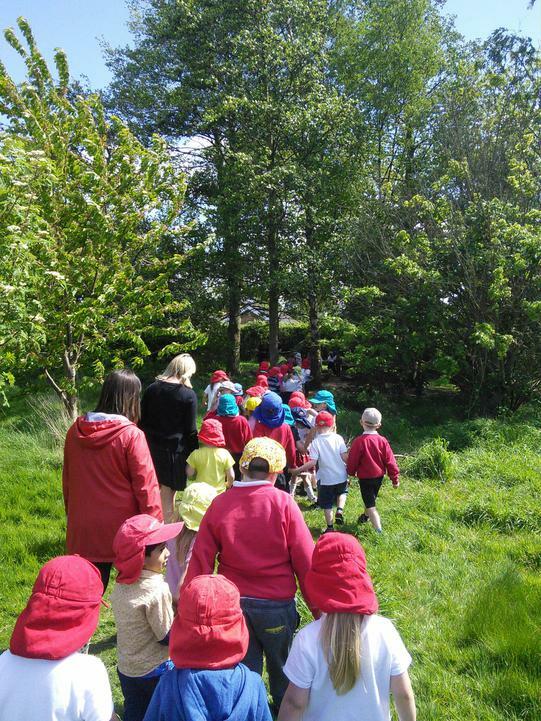 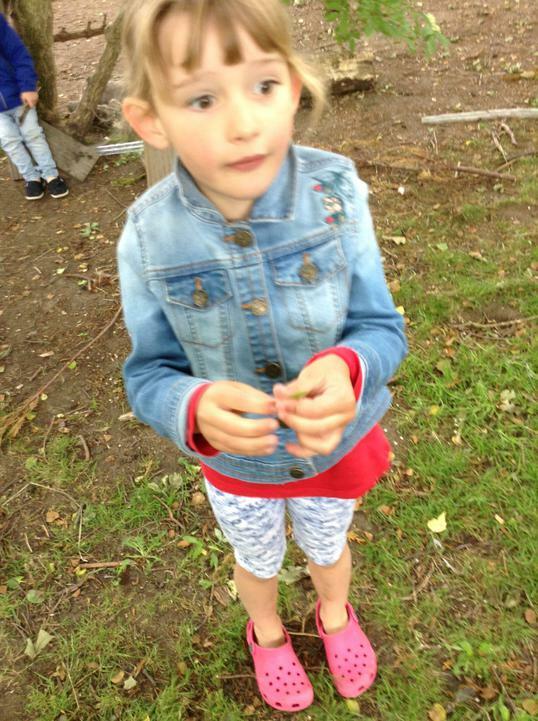 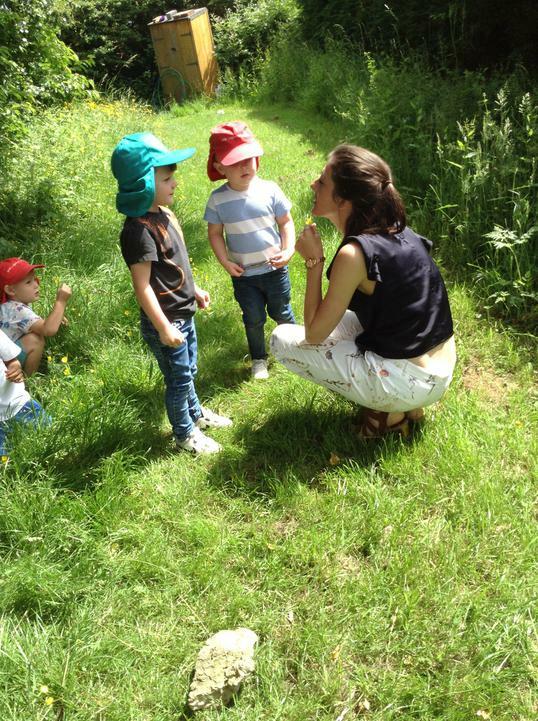 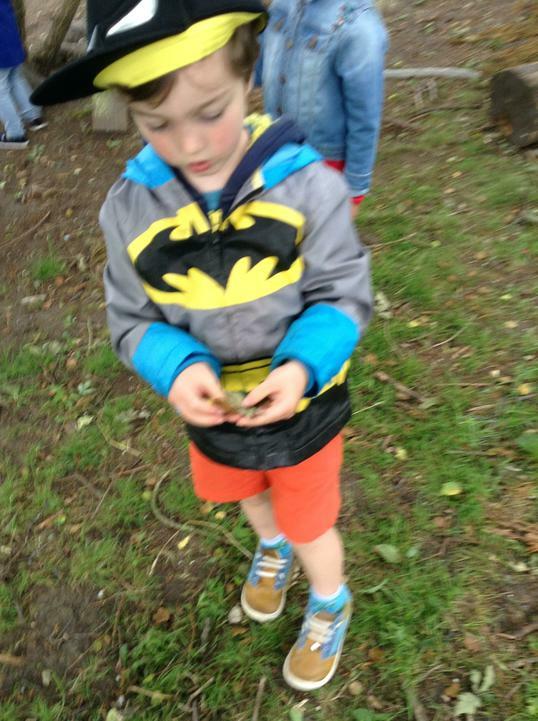 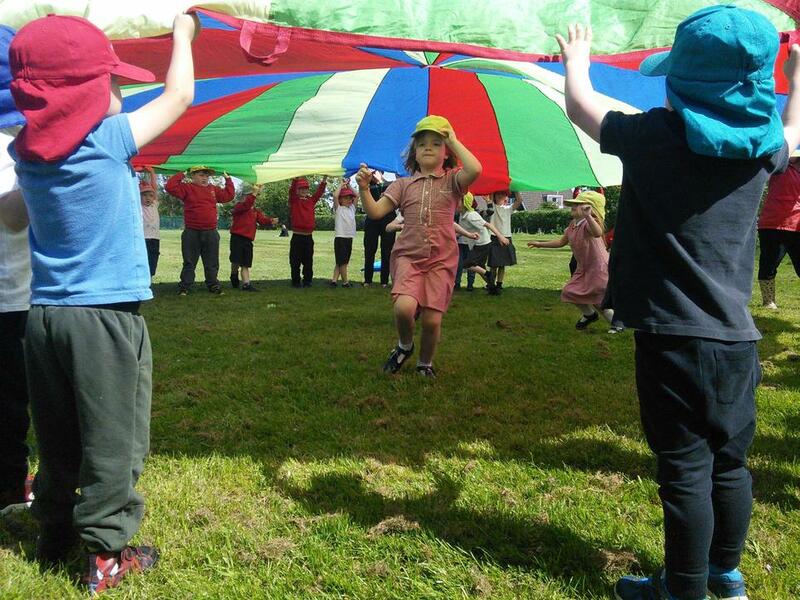 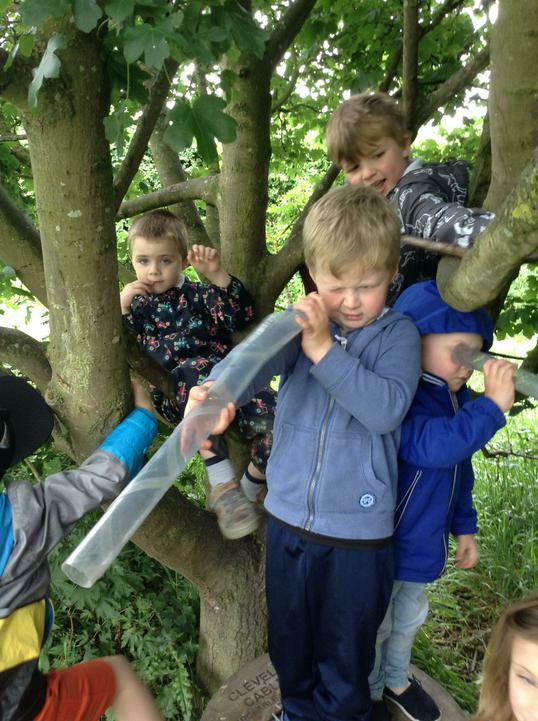 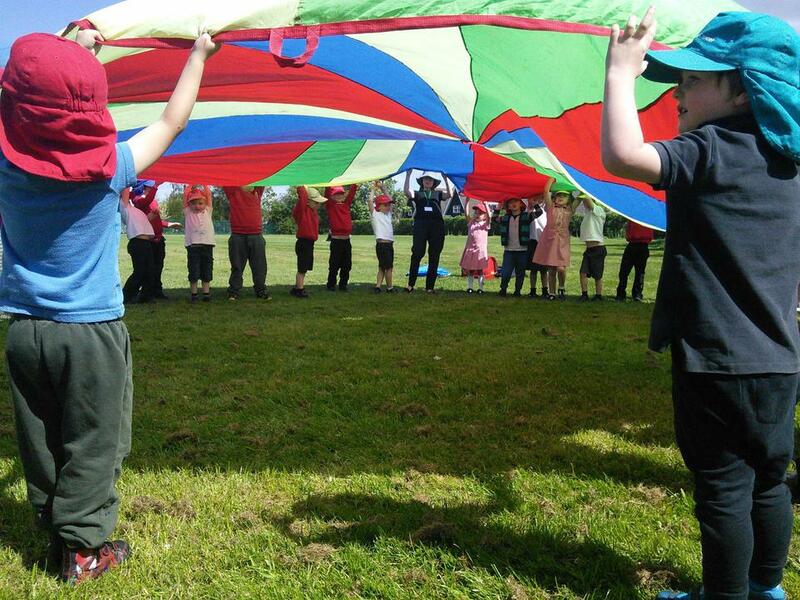 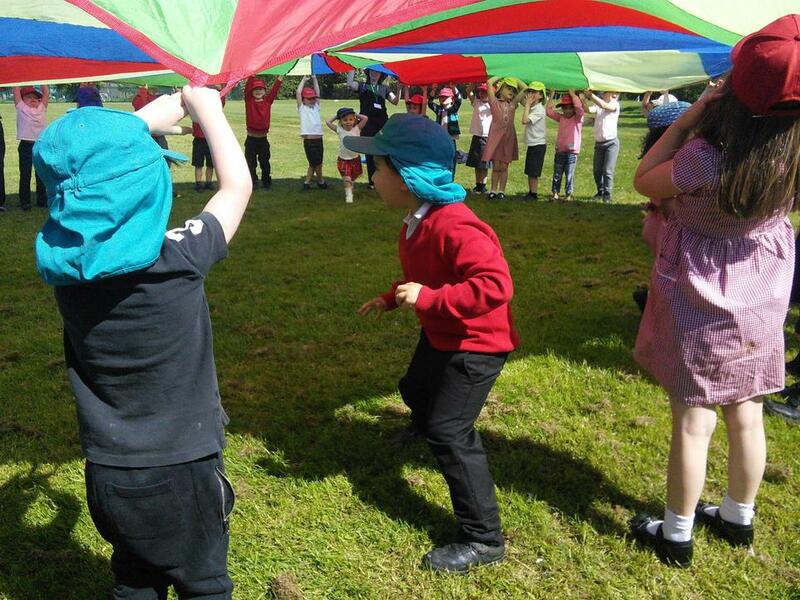 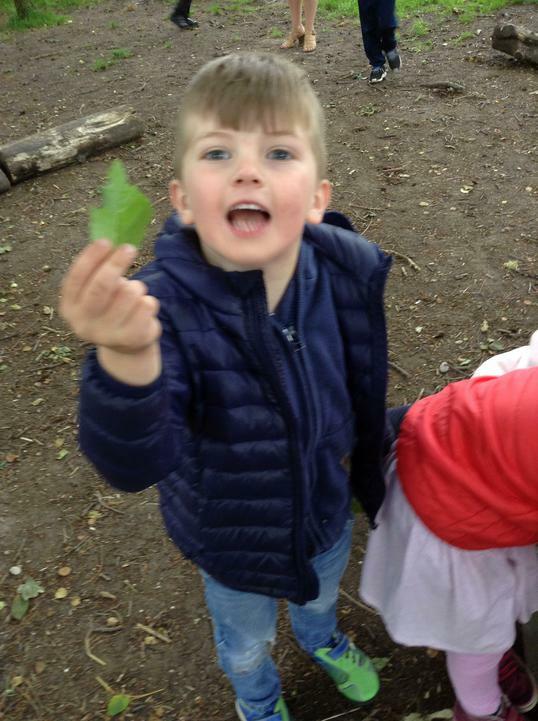 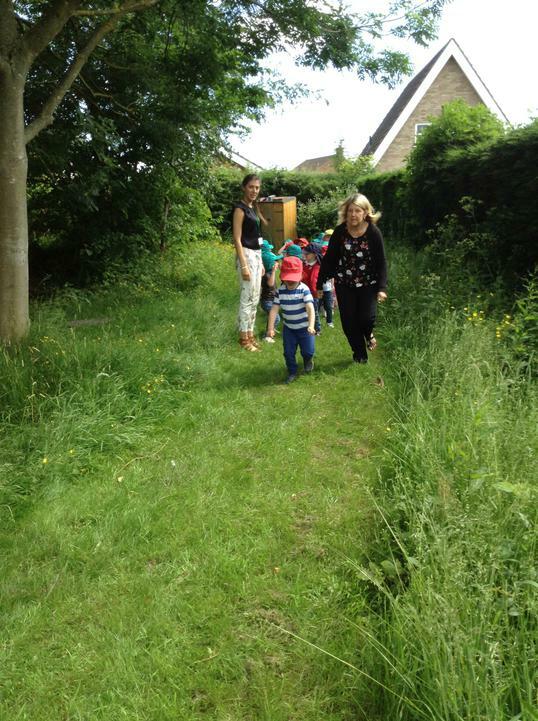 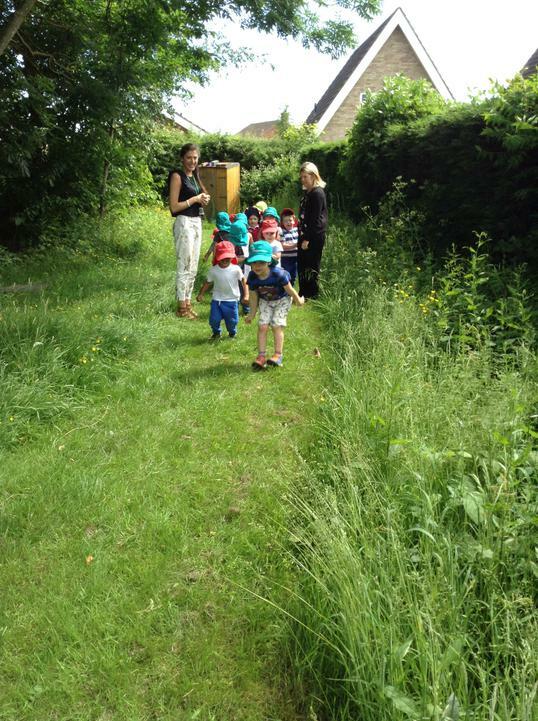 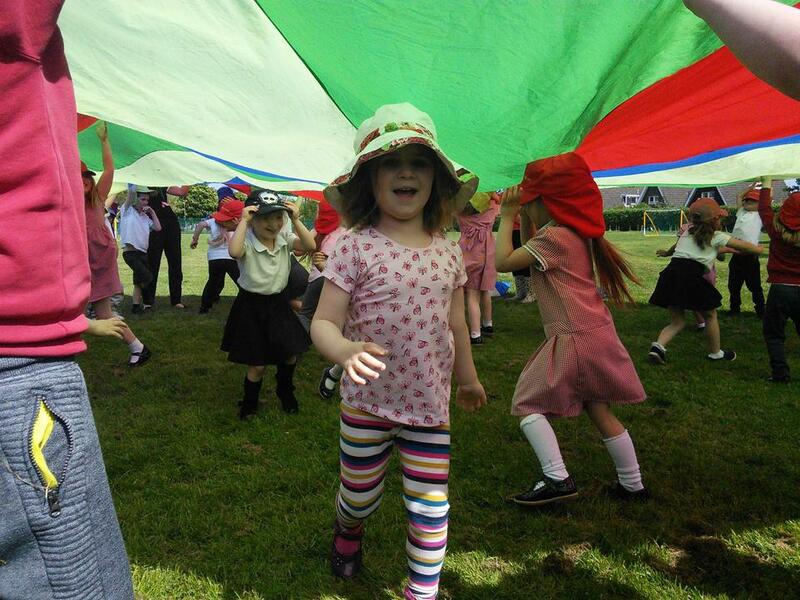 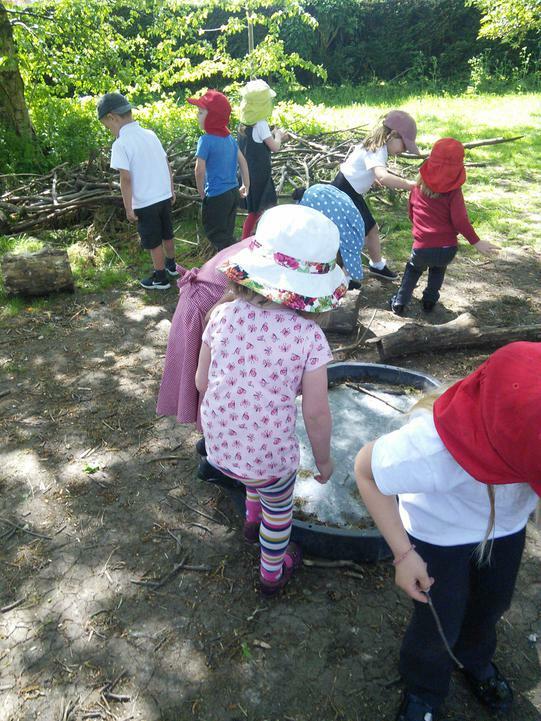 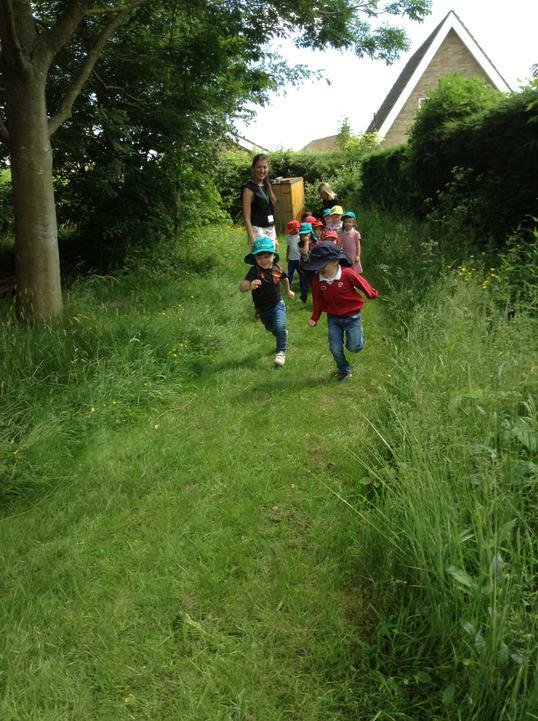 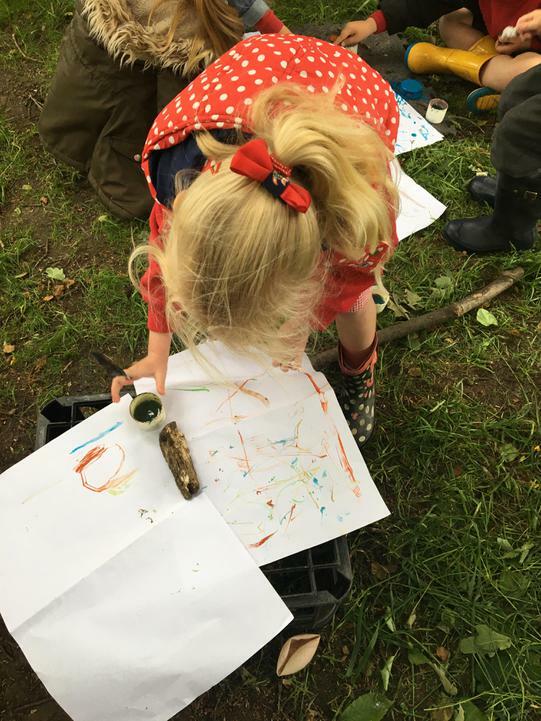 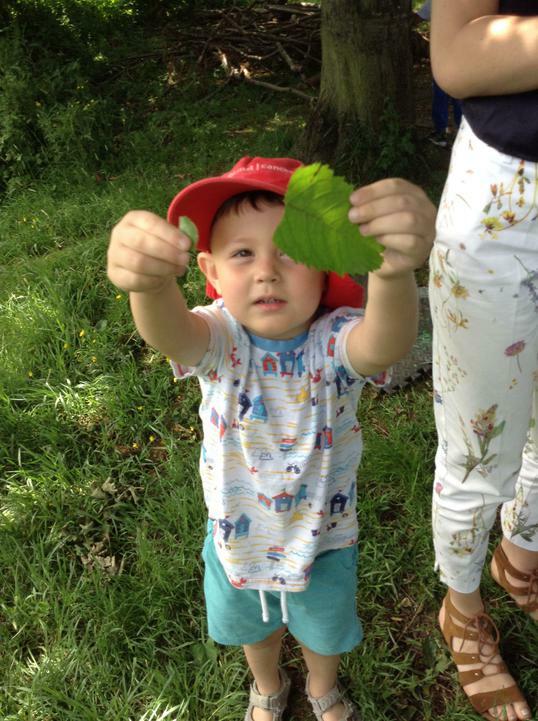 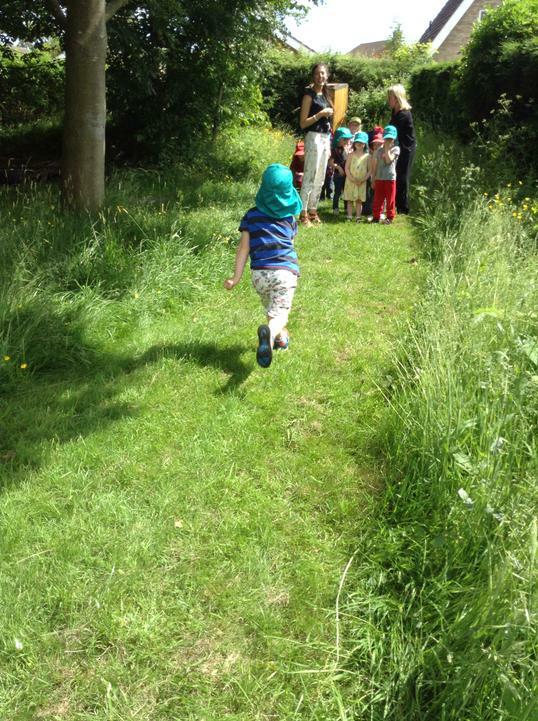 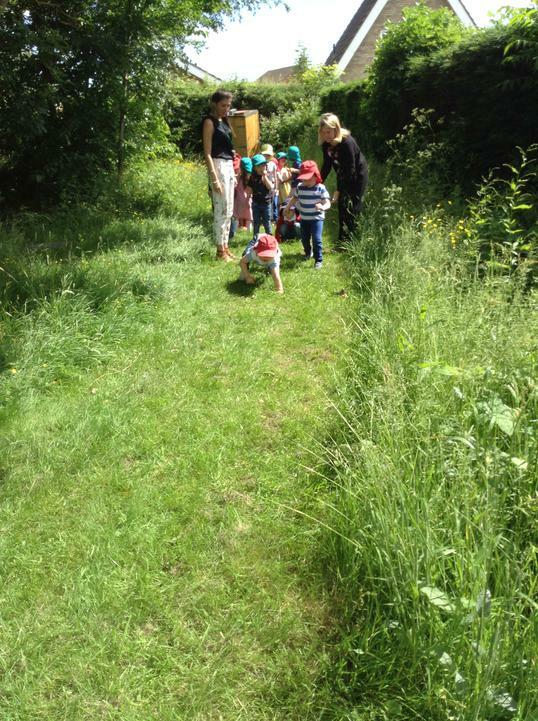 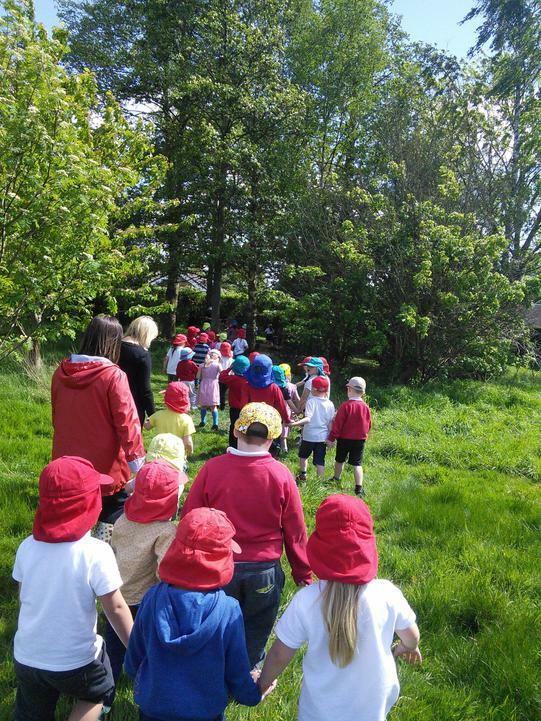 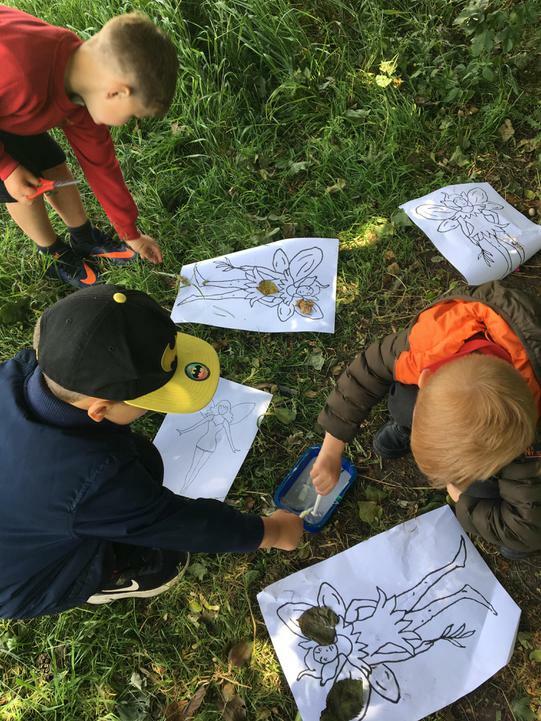 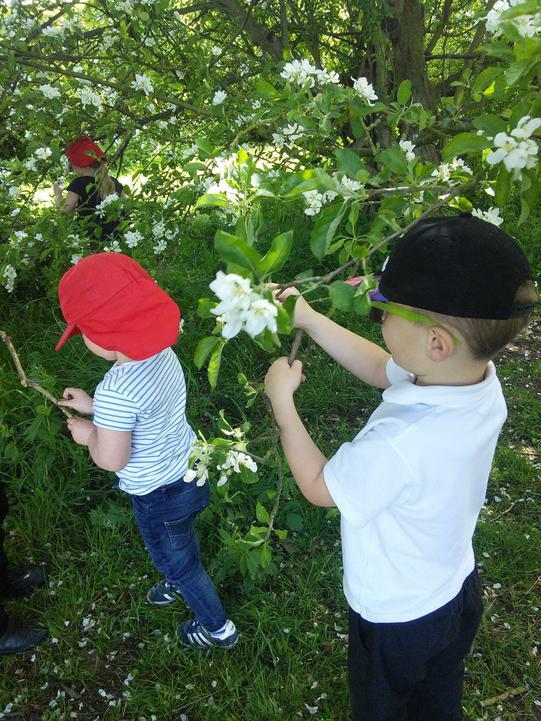 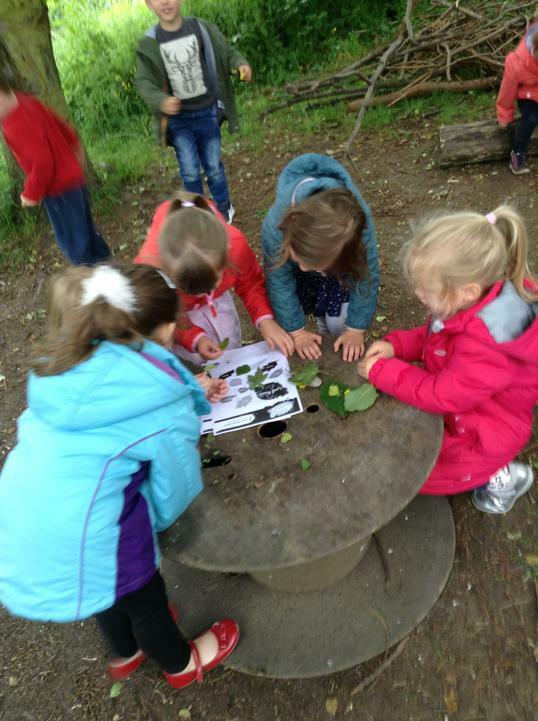 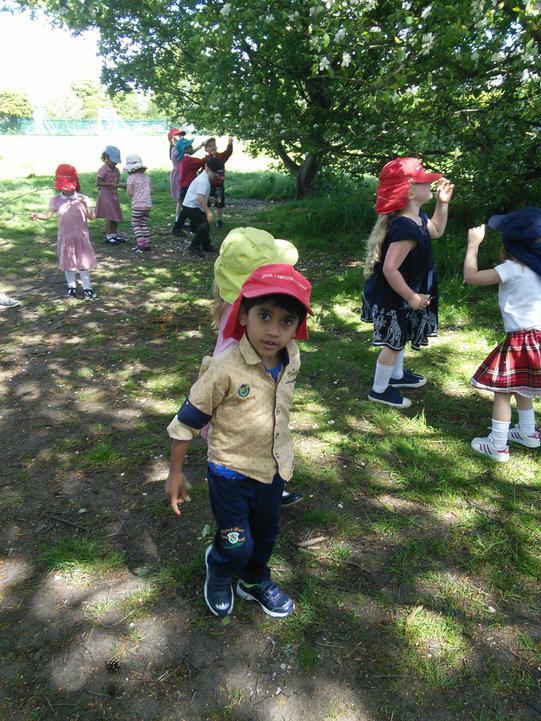 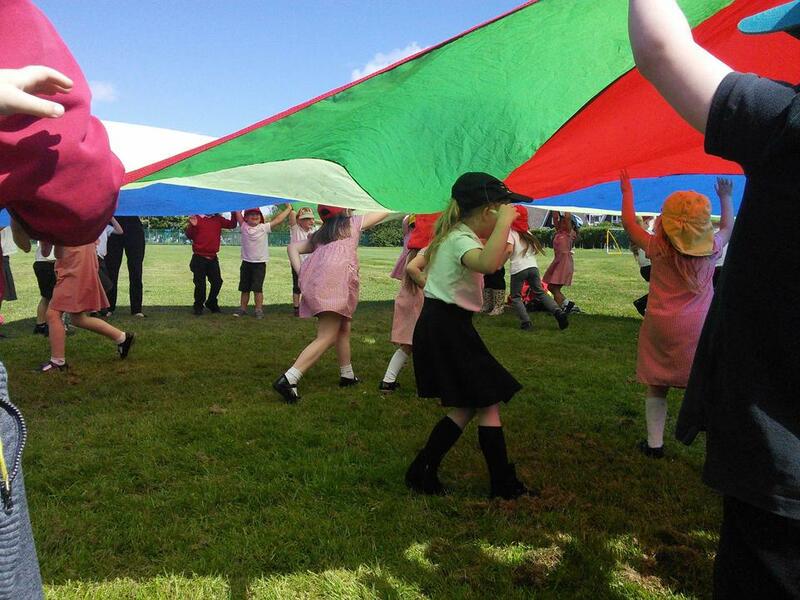 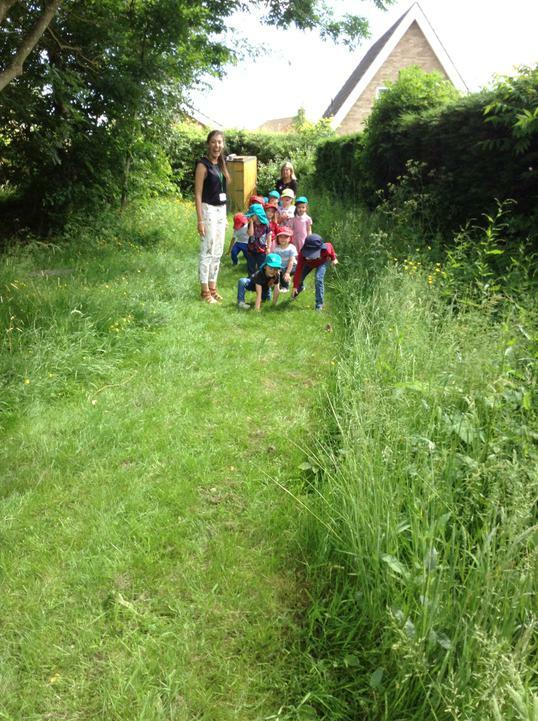 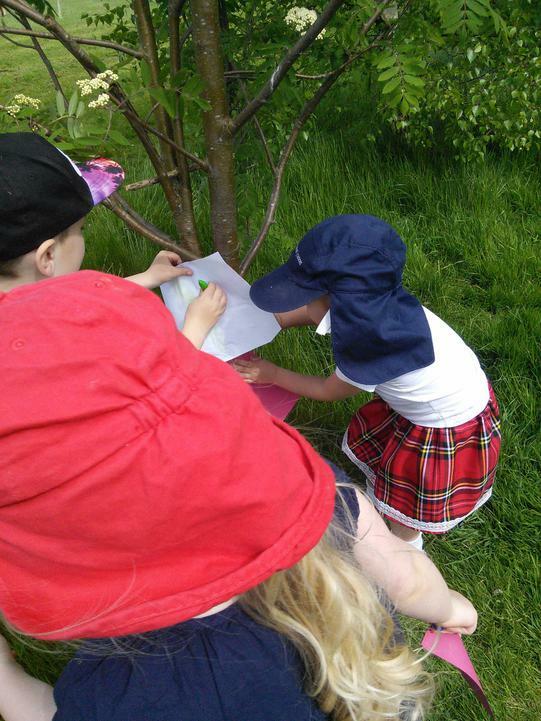 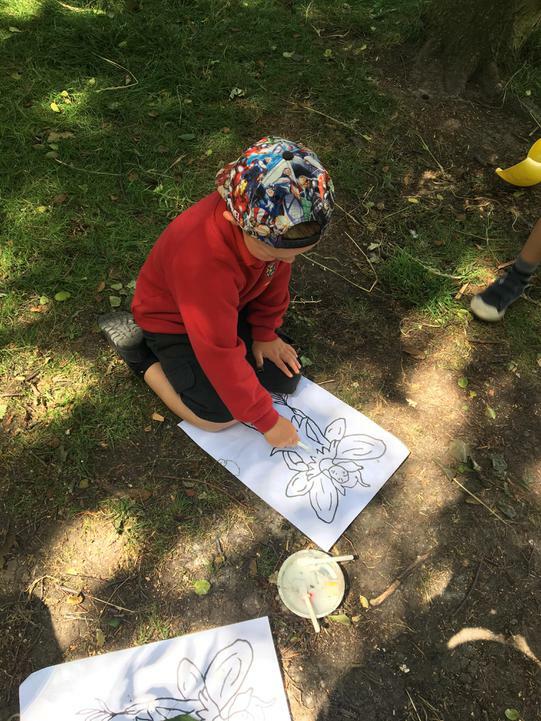 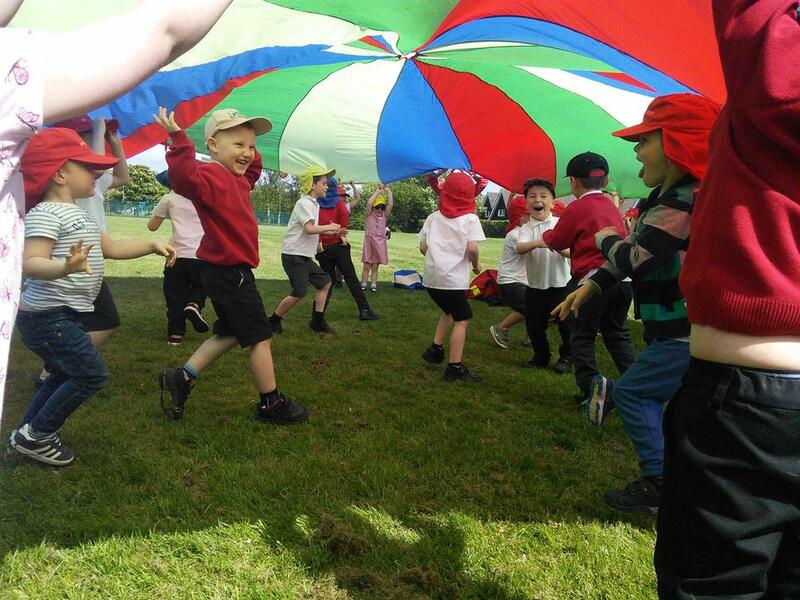 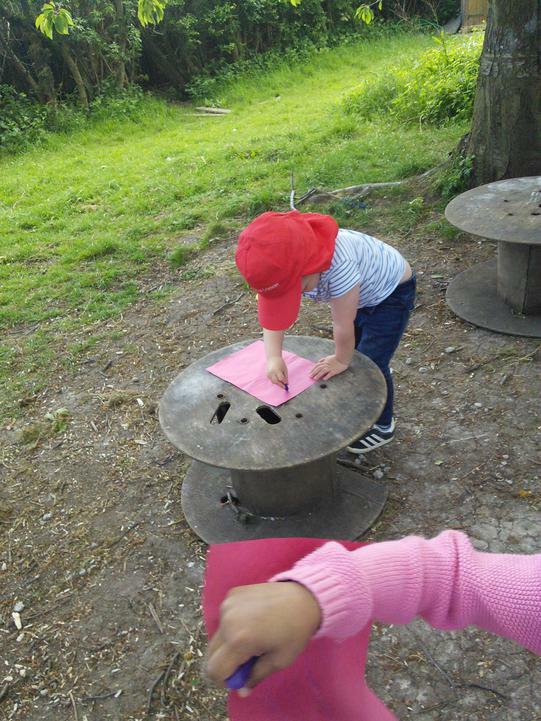 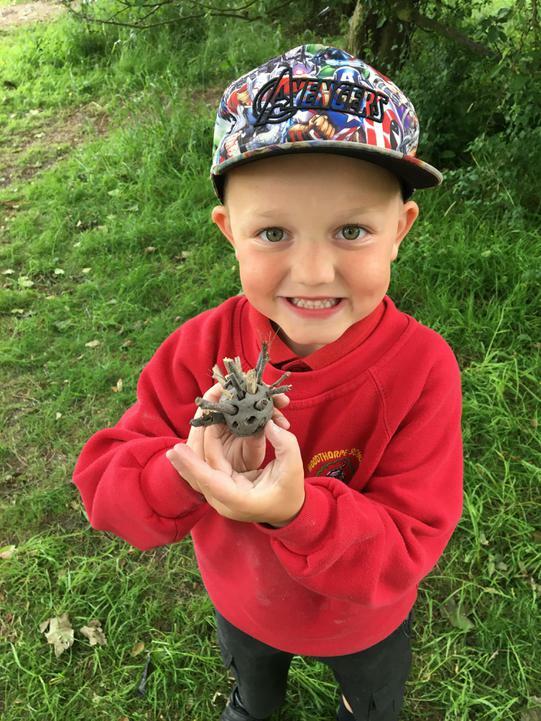 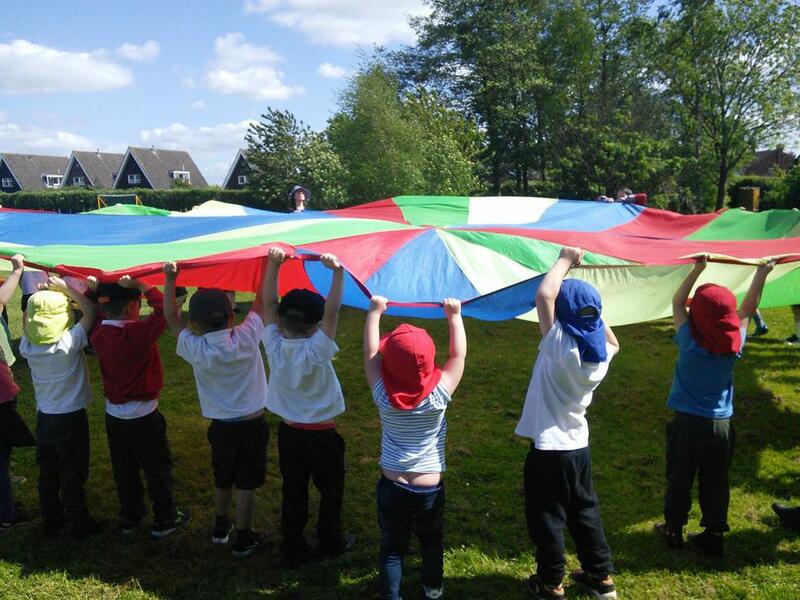 This week at the forest we went hunting for fairies. 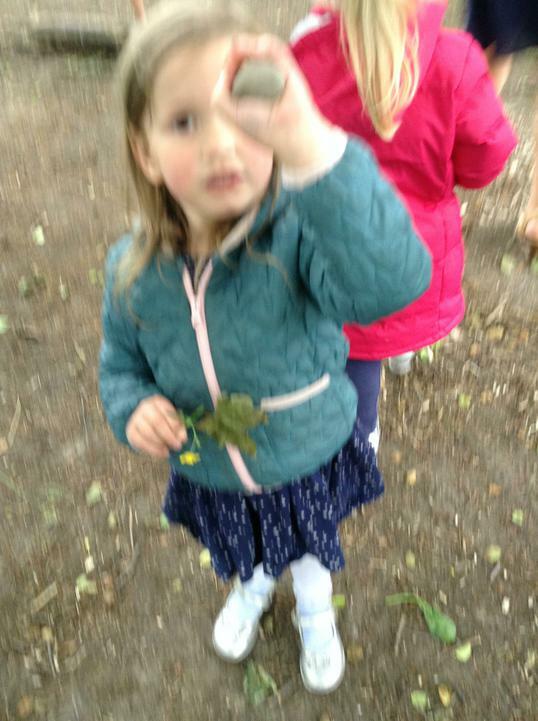 We very quietly crept around looking for them and then made some of our own.